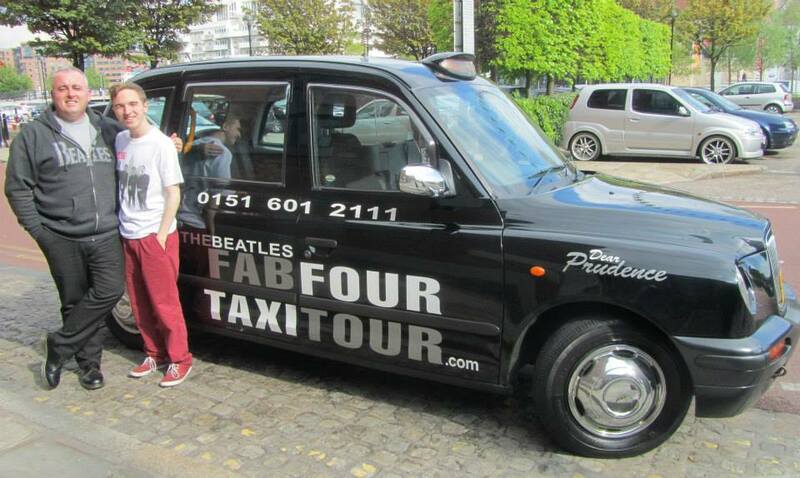 On 30th May 2013, I went on my second ‘Fab Four Taxi Tour’ in Liverpool. 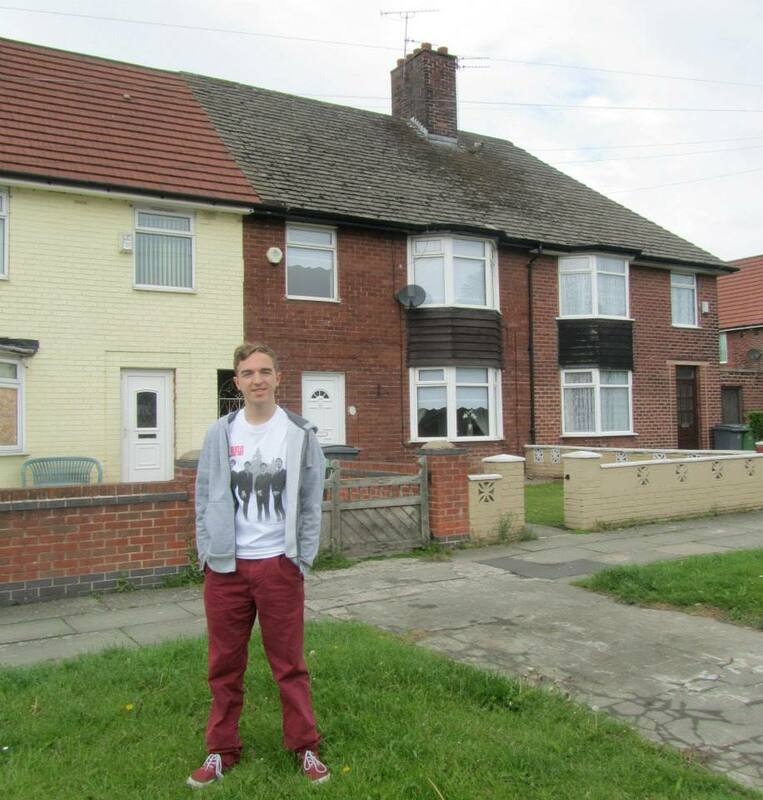 This time we visited some of the more obscure Beatles locations, including former homes of all four members of the band as well as many other places along the way. 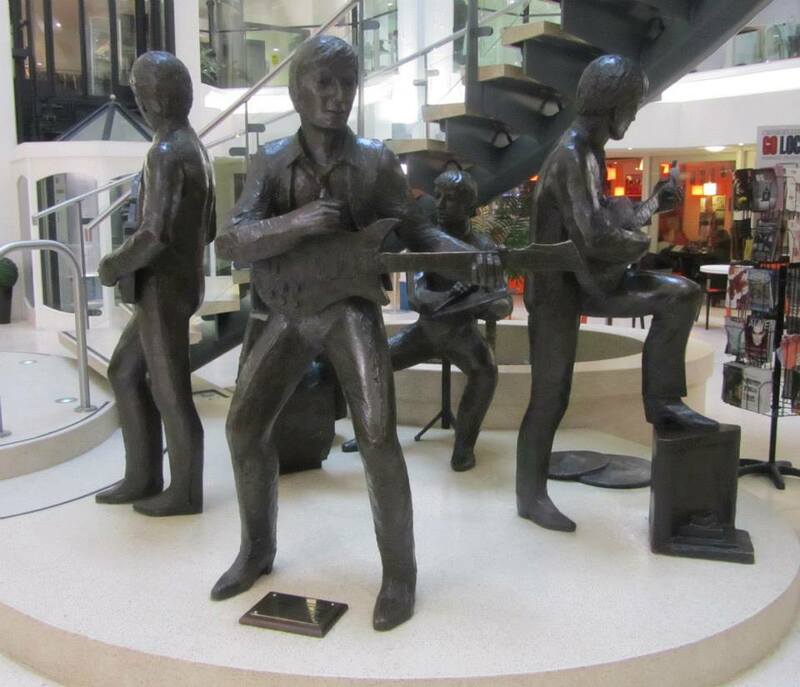 After a hugely enjoyable tour around Liverpool with the Fab Four Taxi Tour company last year, we decided that during a few days in the city we would once again embark on a tour – this time of some of the slightly lesser known places that were involved in the lives of John, Paul, George and Ringo during the early years. 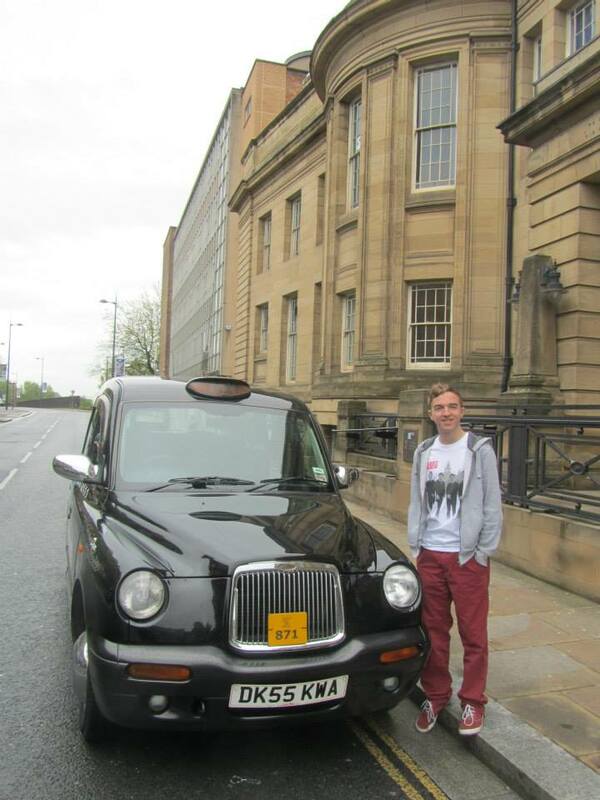 Prior to the trip, we got in touch with Ian Doyle, our tour guide and Beatles fanatic who gave us a hugely enjoyable trip last time around and he was more than happy to repeat the tour, showing us some more sites in his cab ‘Dear Prudence’. 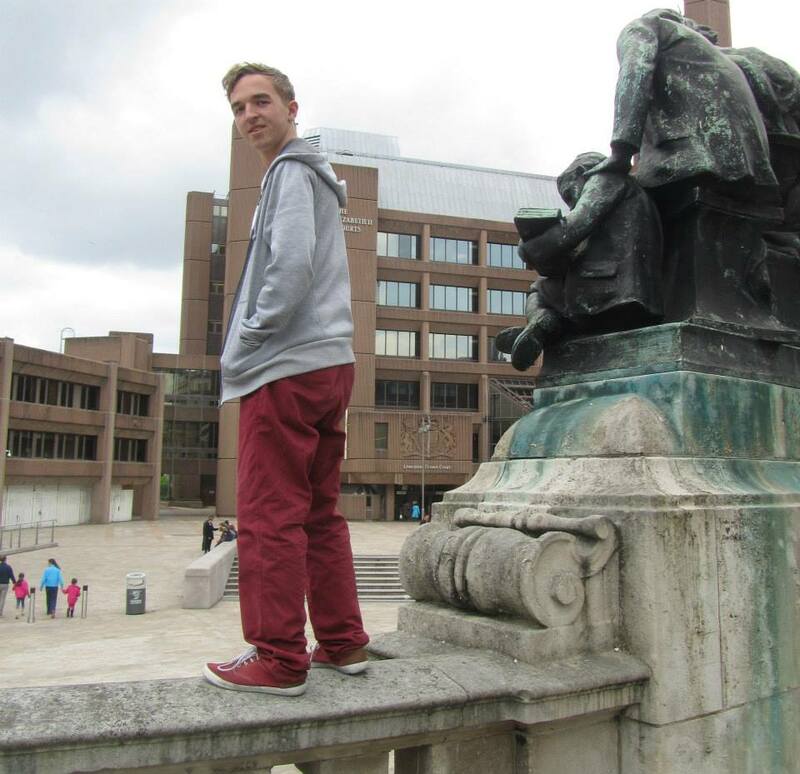 You can read about the many places visited below. 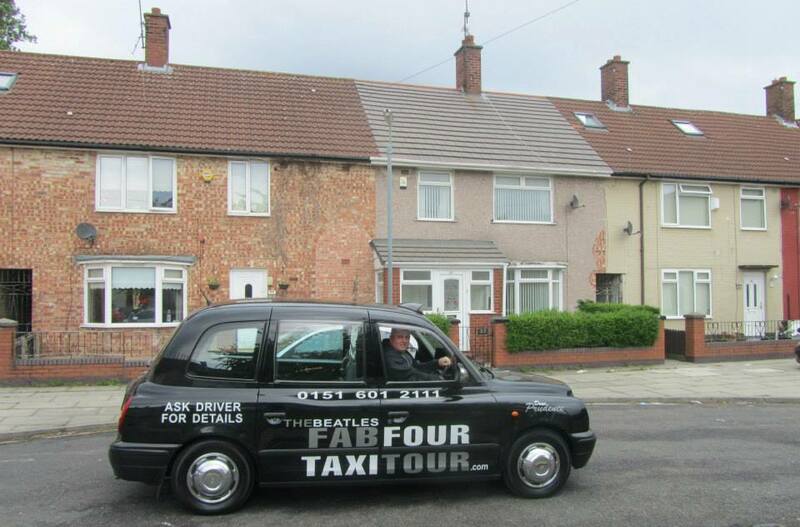 A big thanks to Ian and Fab Four Taxi Tours for this experience and it is something I would highly recommend to any Beatles fan. 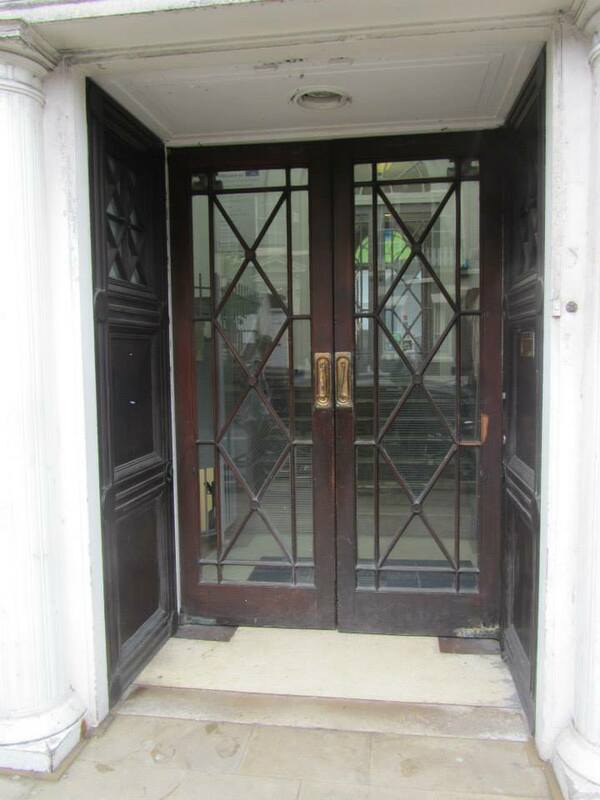 81a Renshaw Street is the former location of Bill Harry’s office, the producer of local music newspaper ‘Mersey Beat’. The first edition issue was published on 6th July 1961 and included an article where John Lennon explained the origins of the name ‘Beatles’. 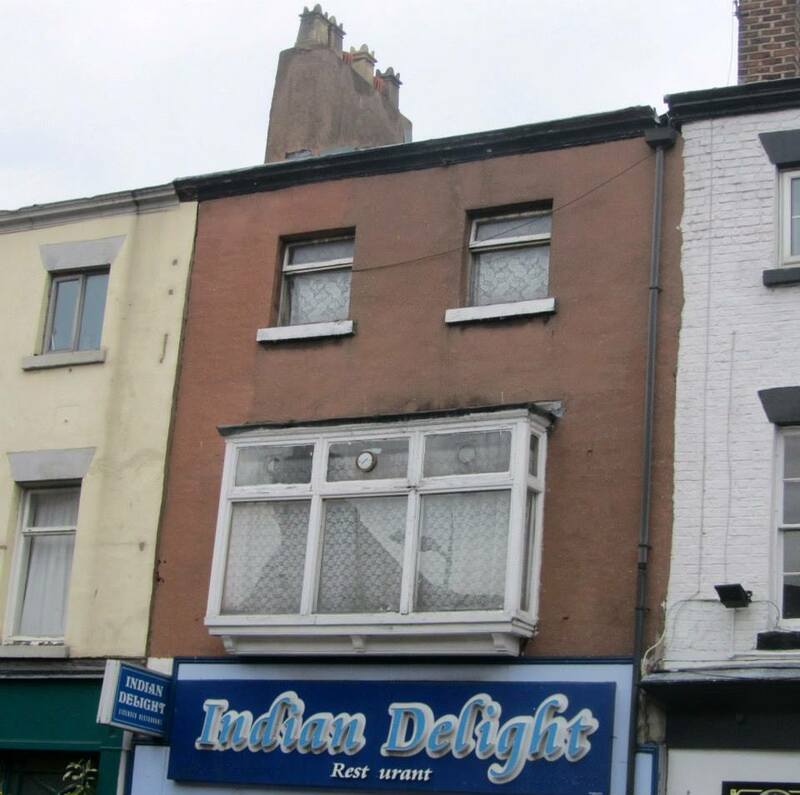 It was in this office that he gave the famous quote “It came in a vision, a man appeared on a flaming pie and said from this day on you are Beatles with A.” Some 36 years later, fellow Beatle Paul McCartney took inspiration from this for the title of his album ‘Flaming Pie’. 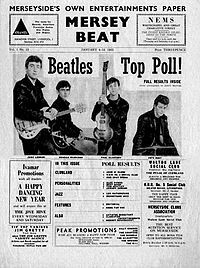 Mersey Beat paper recorded the rise of the band until its ending around three years later. 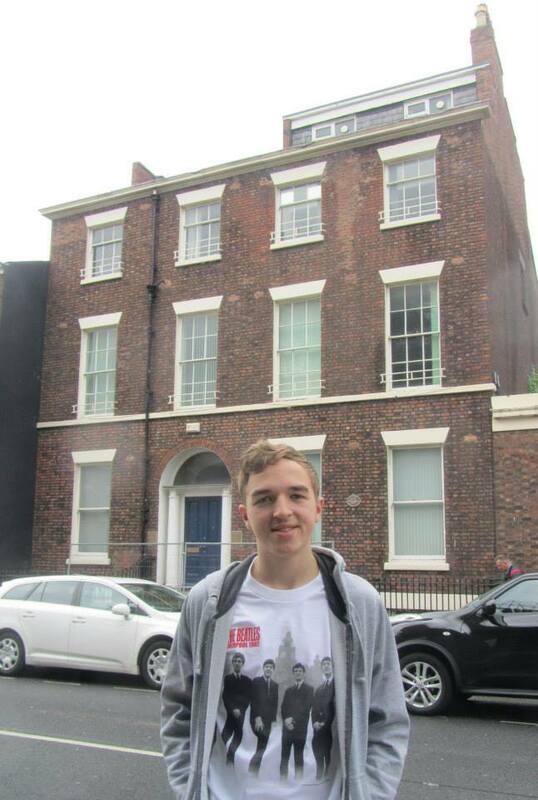 This was the birthplace of Brian Epstein, music entrepreneur and manager of the Beatles from 1962 until his death in 1967. 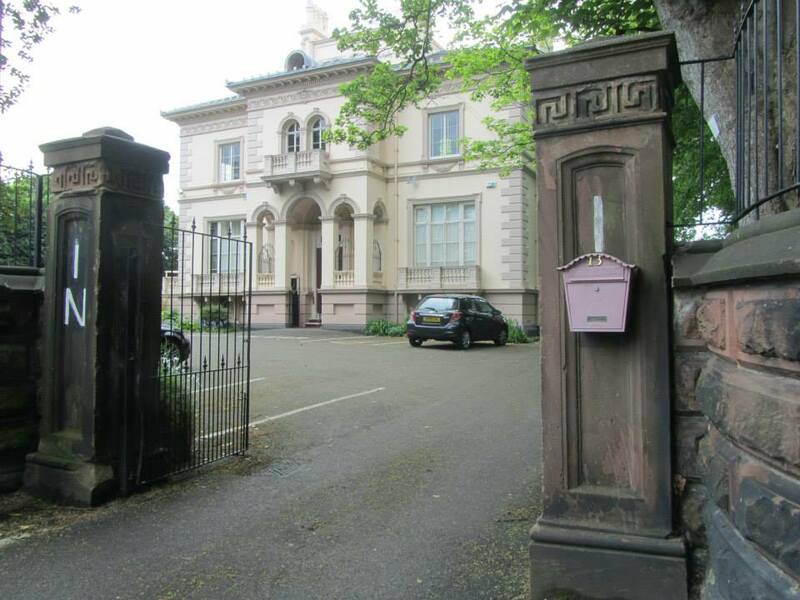 The Georgian building on Rodney Street was once a private nursing home and on 19th September 1934, Brian Samuel Epstein was born to parents Harry and Queenie, a middle class Jewish couple who lived on Queens Drive. 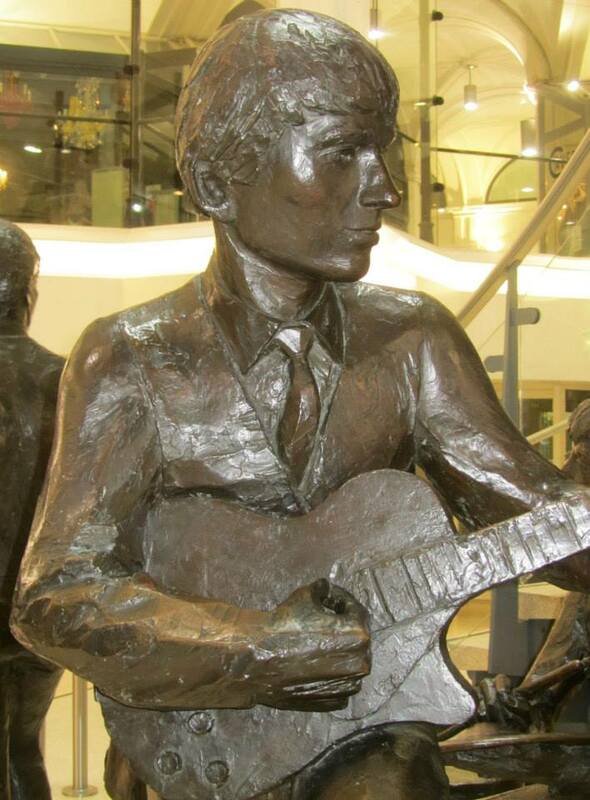 Epstein went on to become one of, if not the most influential people in the Beatles remarkable rise to fame, being responsible for getting the band a record contract with EMI. 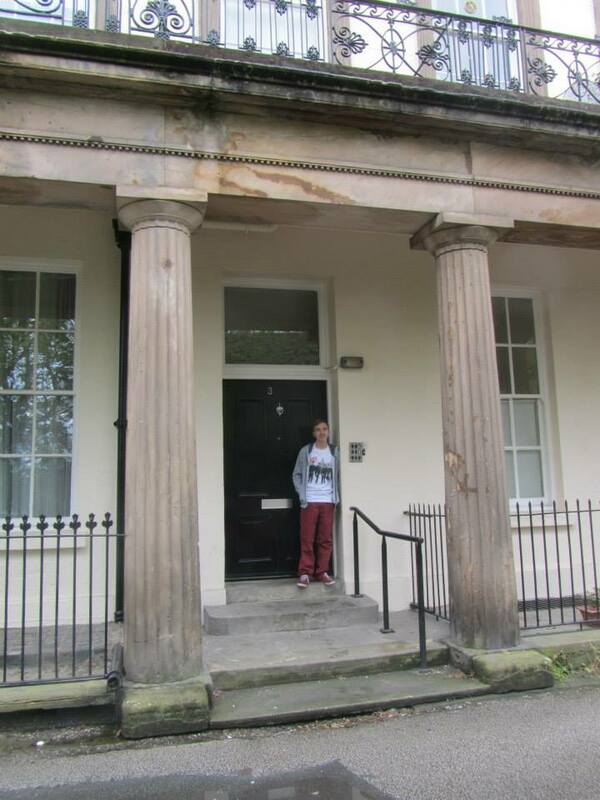 This was a flat shared by John Lennon, Stuart Sutcliffe and Rod Murray, all students from the art college. 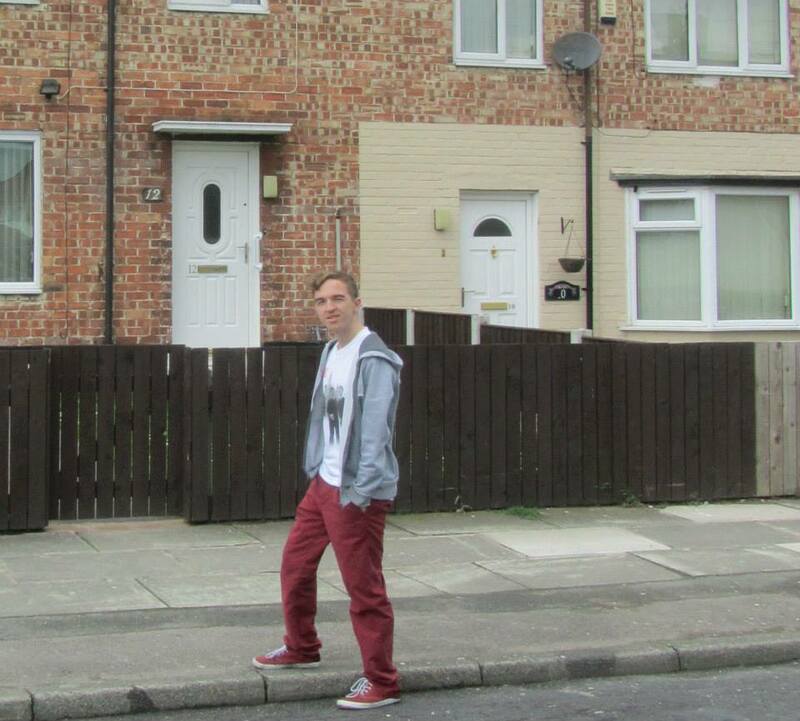 His Aunt Mimi wasn’t happy with the decision but John went ahead and moved into the flat in 1960. 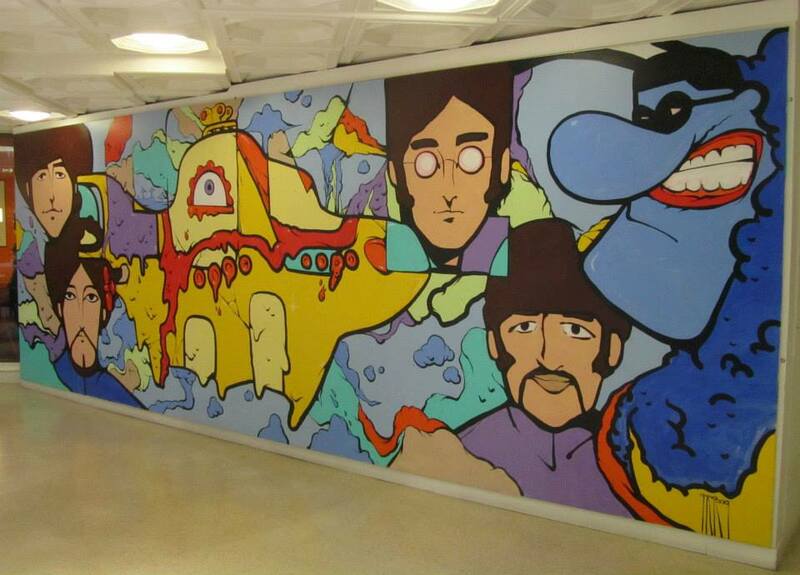 They used it as a place to draw, paint and practice with the rest of the band, as well as spending many a night with girlfriend and future wife Cynthia here. 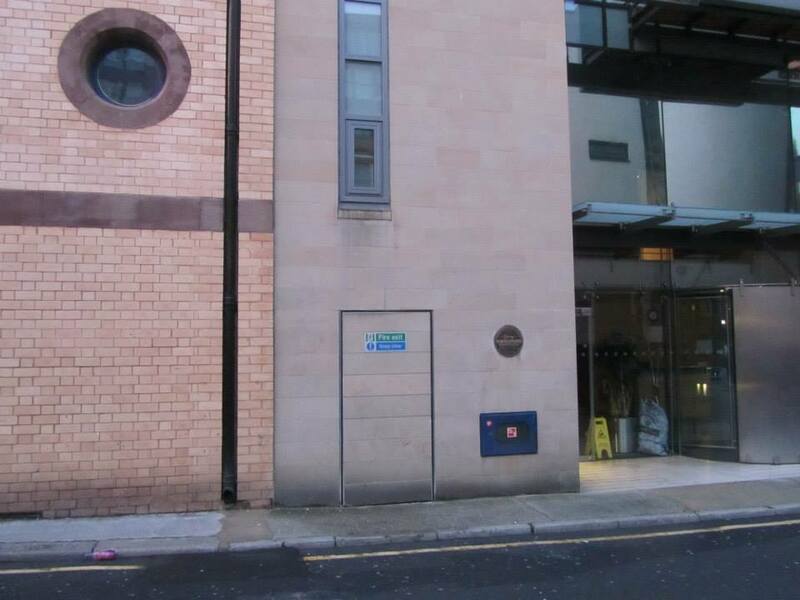 Paul McCartney also claims that this is the location where Lennon and Sutcliffe told the rest of the group that they wanted to change the name to ‘The Beatles’. 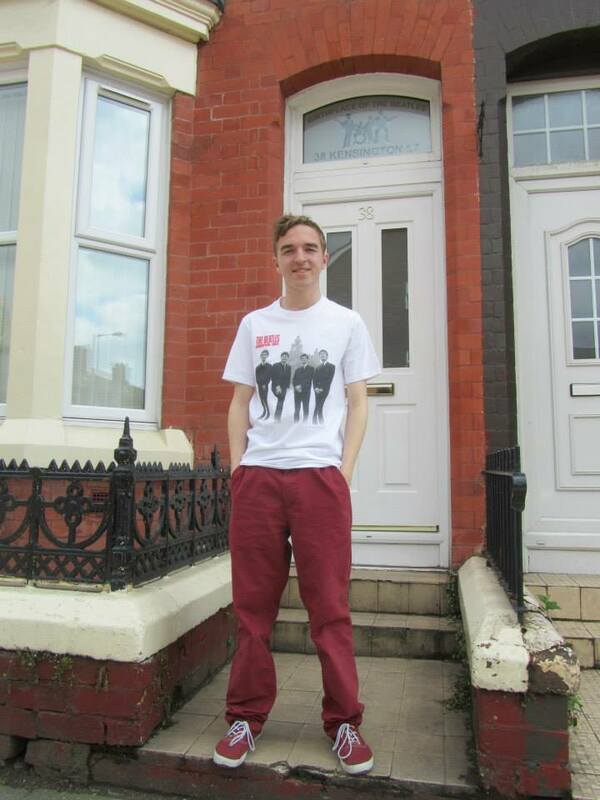 The two Beatles members living at Gambier Terrace only stayed a few months before leaving for Hamburg in the Summer of 1960. 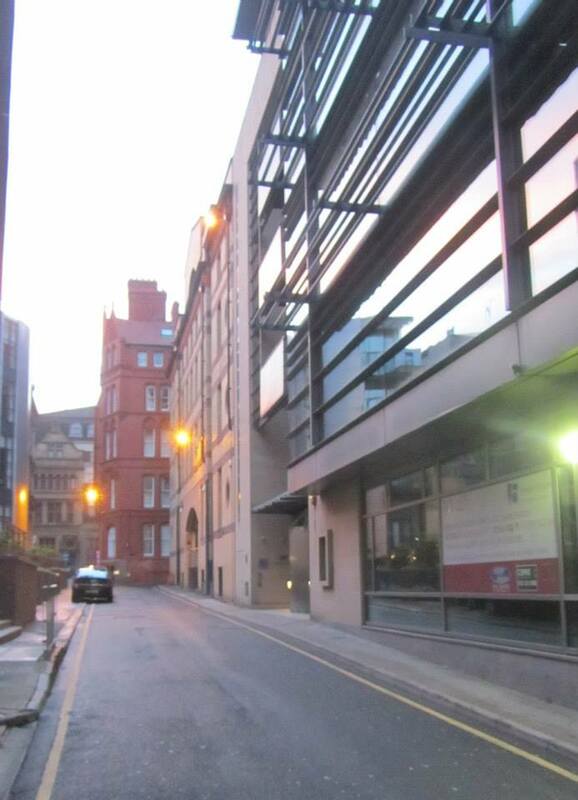 This is the exact location where the famous photo of John and Cynthia, along with Art college friends Tony Carricker and John Hague, was taken in 1959. Cynthia was 19 and John 18 years old and the couple had only been together a few months when the photograph was taken. 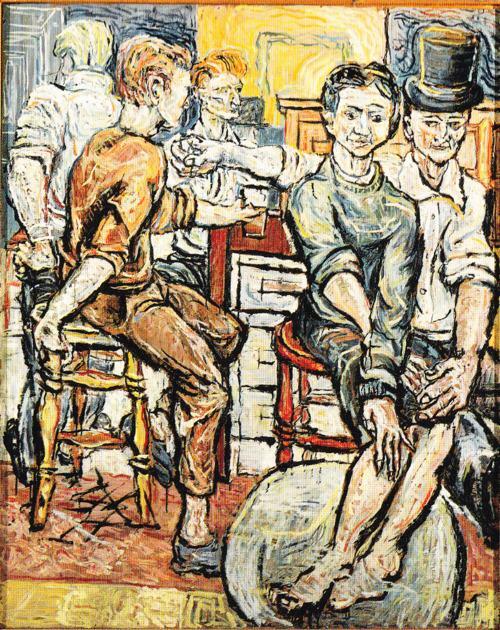 Lennon remembered both these friends for many years, and in 1968 Hague was the painter that helped Lennon in a gallery exhibition, while in a letter from 1974 from Lennon to Cynthia – he asks ‘What’s happened to Tony Carricker?’. 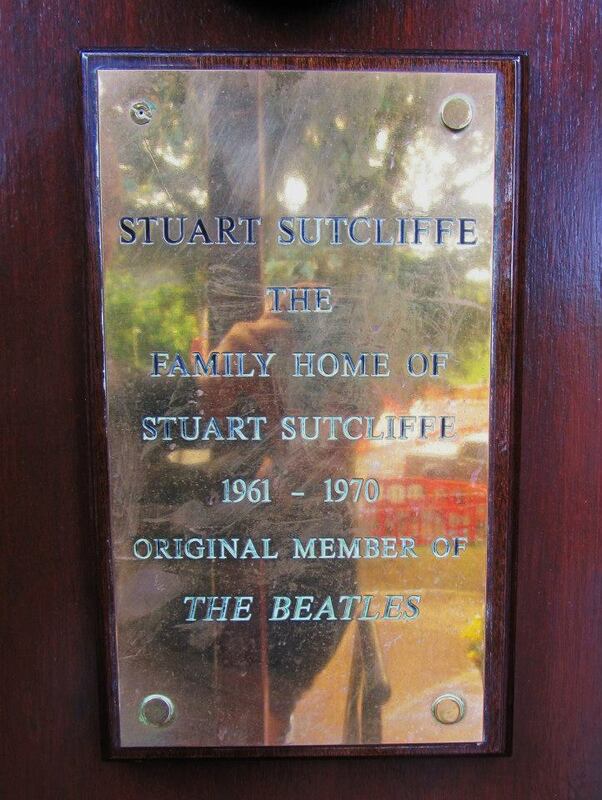 Stuart Sutcliffe, original bassist of the Beatles, and his family originally lived on Ullet Road which was on the other side of Sefton Park. 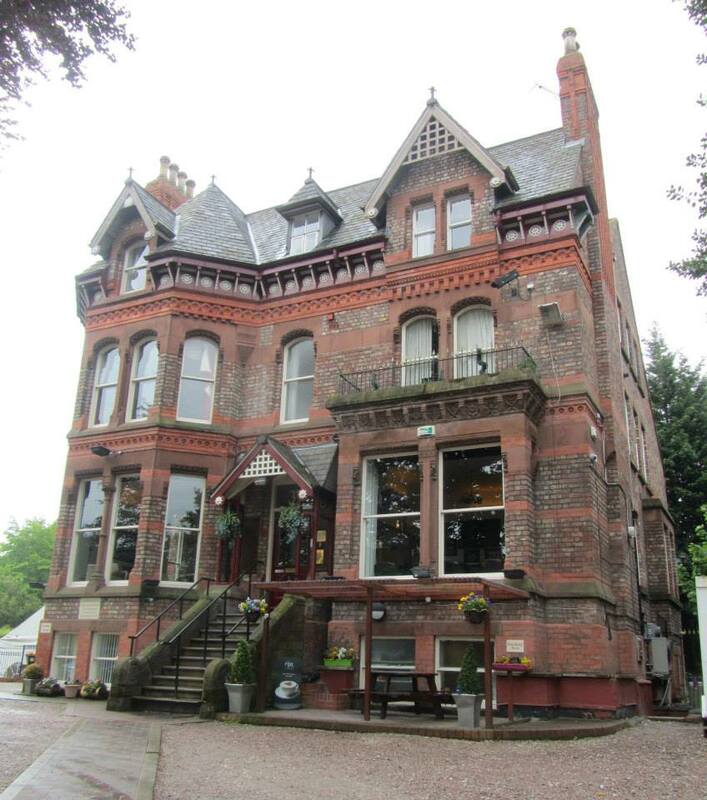 In 1961, the Sutcliffe’s moved into an apartment in this building on Aigburth Drive. 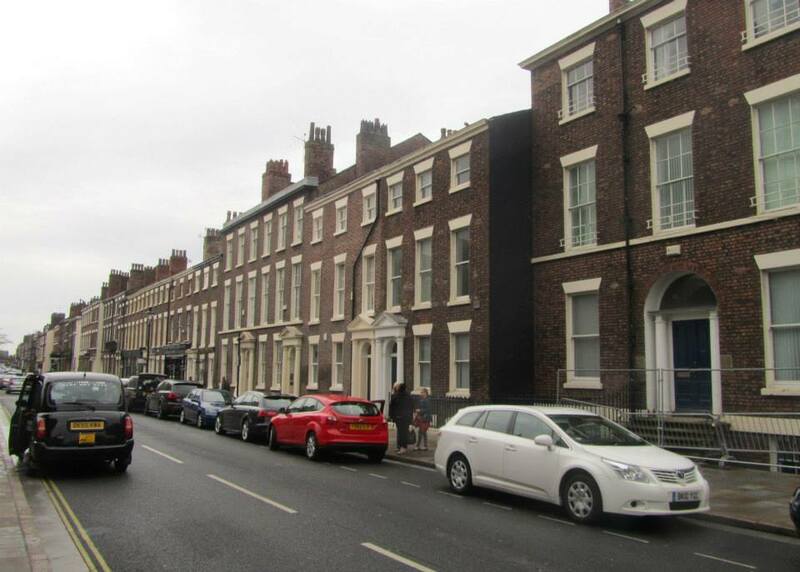 Sutcliffe tragically died in 1962 and this is where his family were living at the time, remaining here until 1970. 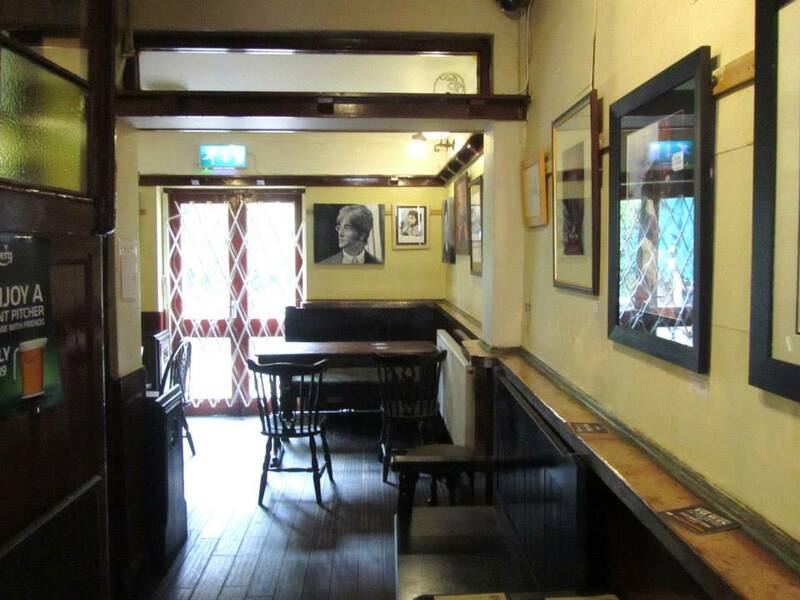 It is now the Blenheim Lakeside Hotel and has many Sutcliffe related items in the hotel, including images, a plaque and a bar named after his girlfriend Astrid Kircherr. 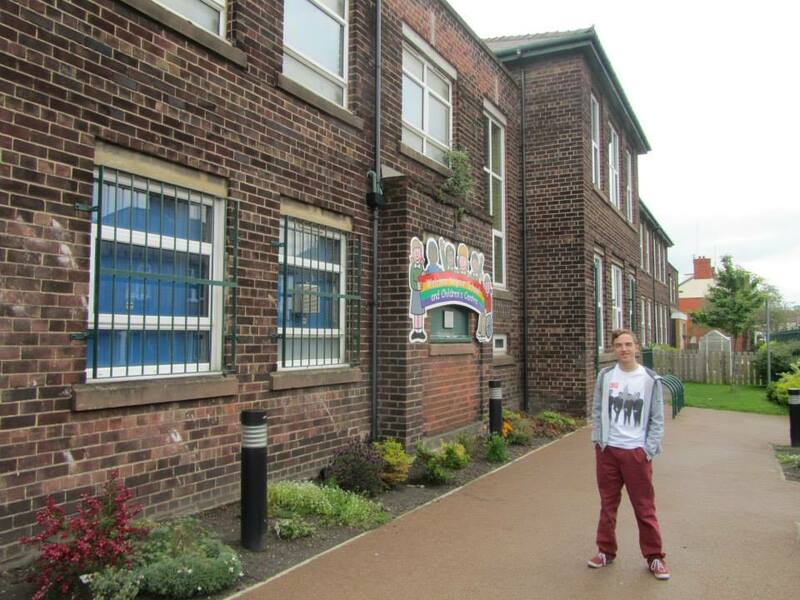 Dovedale was the infant school for both John Lennon and George Harrison, although the boys did not know each other at the time. 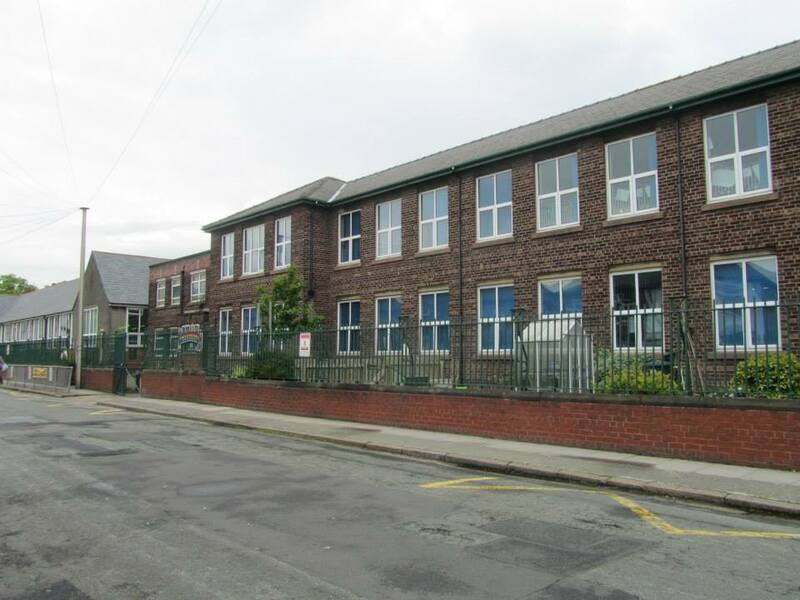 John first enrolled at the school on 6th May 1946 and stayed for 6 years before leaving to join Quarry Bank Grammar School in 1952 after passing his 11-plus exam. John was a talented reader and writer and learned quickly. He wrote his first ‘book’ at Dovedale, “Sport, Speed and Illustrated” which included jokes, drawings and cartoon strips. 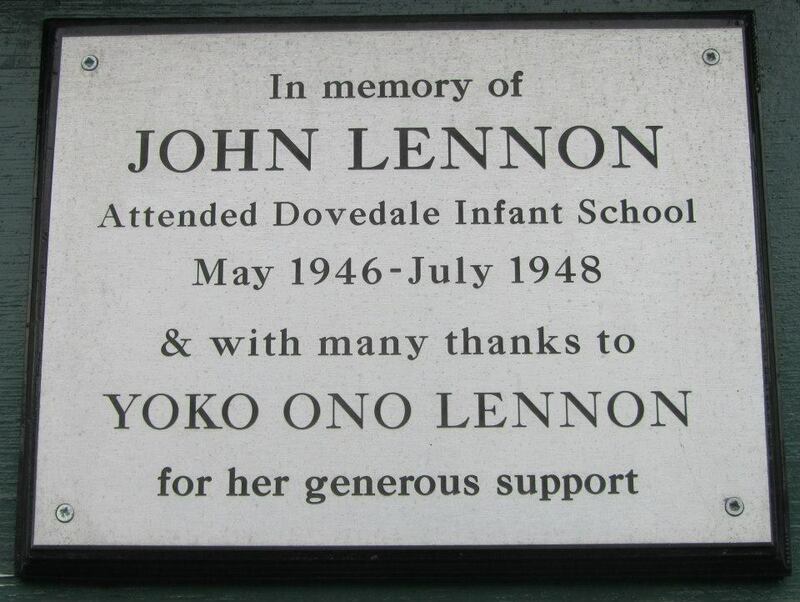 John brought his wife Yoko Ono to the school when he was showing her around the sites of his youth and Yoko has since made a number of donations to the school to help improve the facilities and there is a plaque to commemorate this. 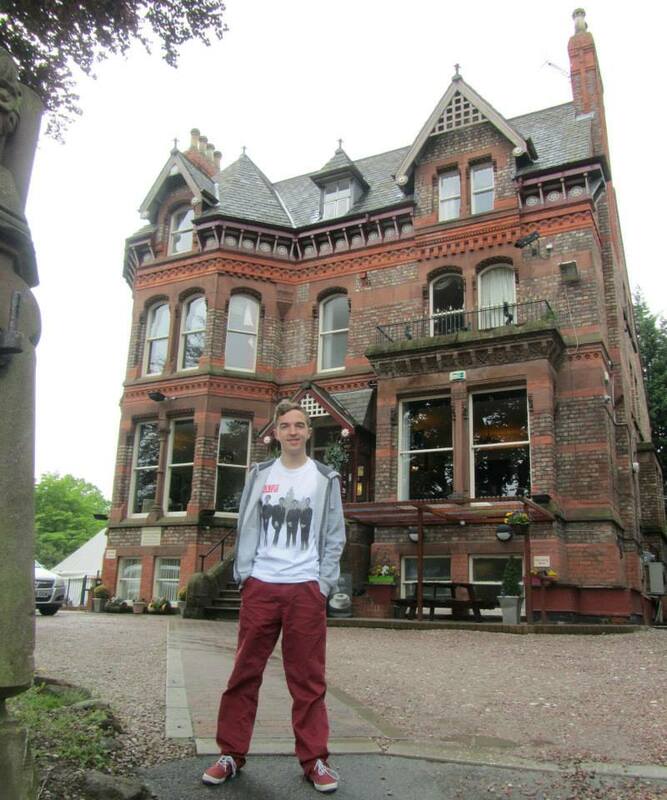 George Harrison also went to Dovedale Infants School and after passing his 11-plus exam, moved to the Liverpool Institute, a school that was also attended by Paul McCartney. Another famous person to attend Dovedale was comedian Jimmy Tarbuck. 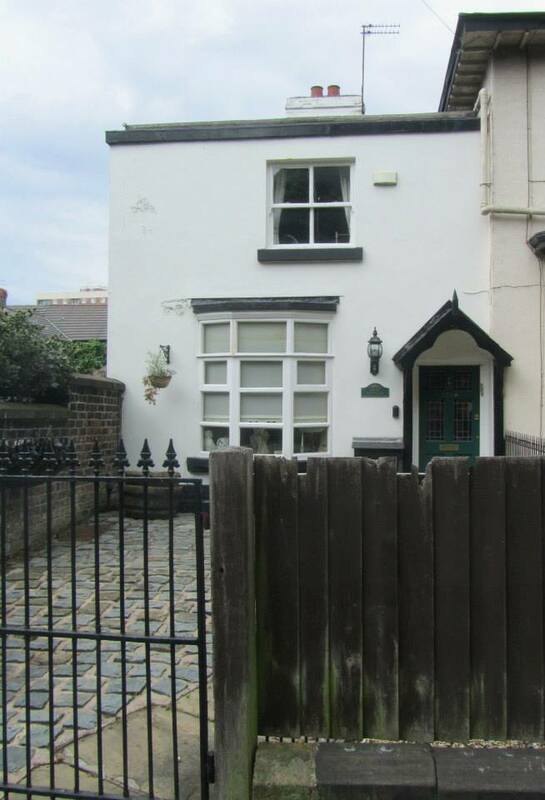 This was the house where John Lennon’s mother Julia lived with her partner John “Bobby” Dykins and their two daughters Julia and Jackie (Lennon’s half sisters). John spent his free time with his mother, getting the kind of encouragement from her that his Aunt Mimi Smith, who raised him never did. Then, on the evening of July 15, 1958, disaster struck. 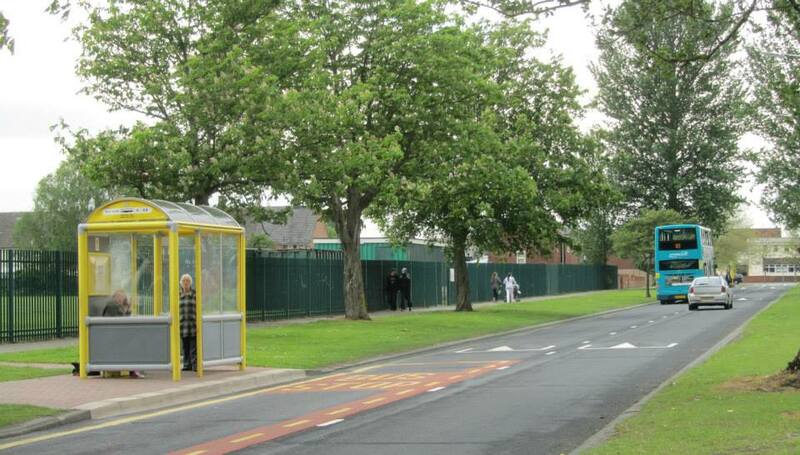 Having spent the day at her sister Mimi’s house on Menlove Avenue, Julia waved goodbye and began to cross the road in order to catch the bus home. She never made it. 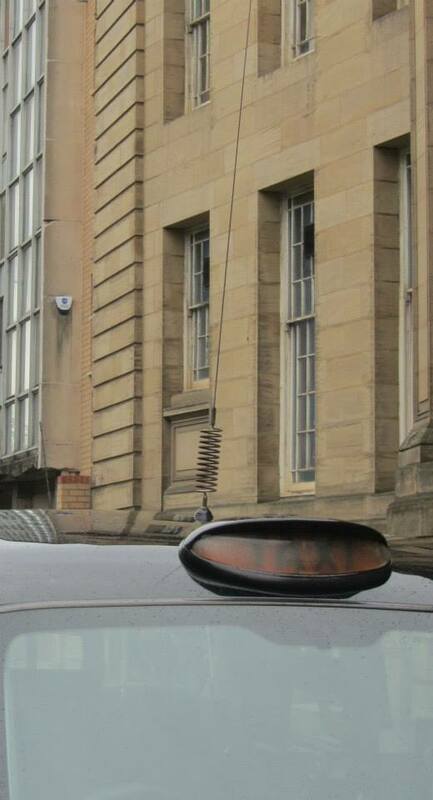 She was hit by a car being driven by an off-duty policeman and died instantly, aged 44. John changed after this became more of a rebel than ever. 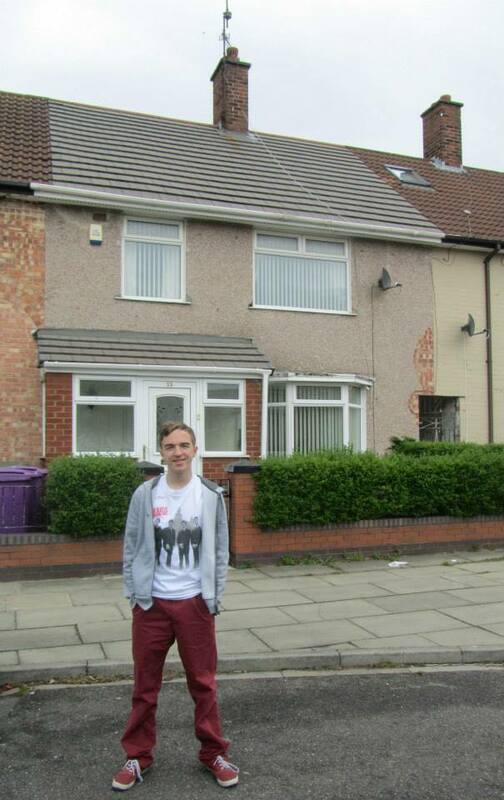 In 1969, John brought Yoko Ono to this house and they were invited in and shown around by the owner at the time. 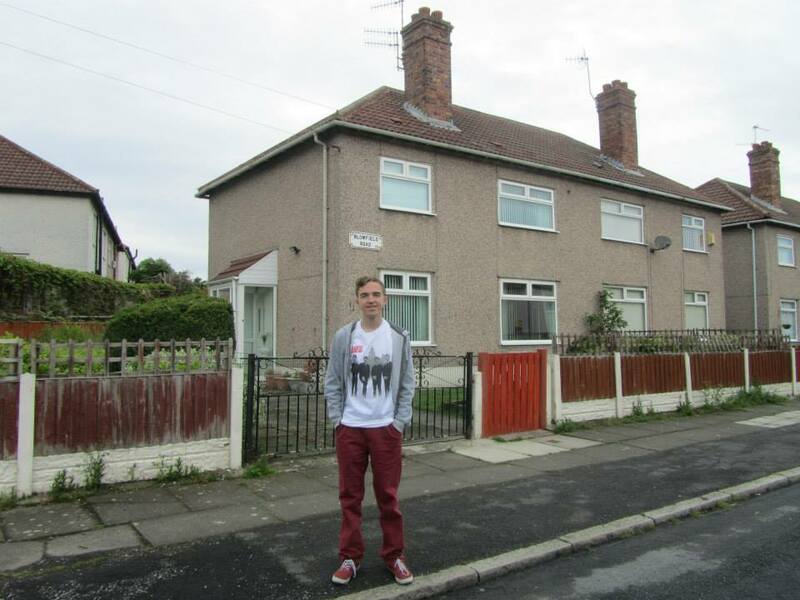 This two-bedroom council house on Western Avenue in Speke was the home of Paul McCartney from the age of 4 to 8 years old. 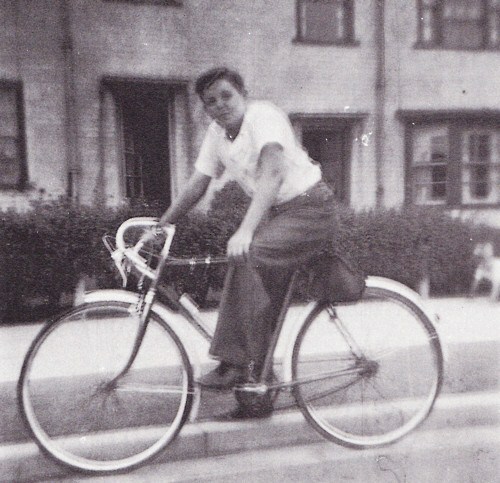 He lived here from 1947 until 1950. 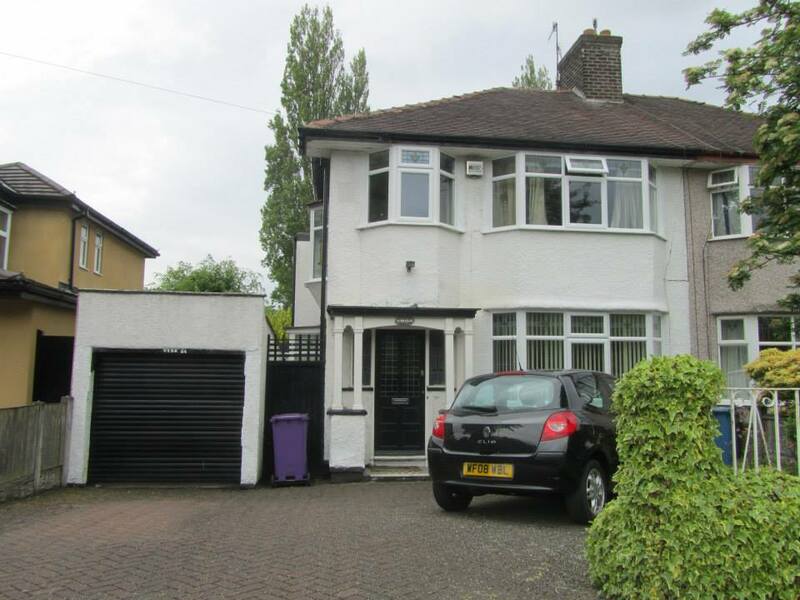 The family got this home due to McCartney’s mother Mary being a midwife. 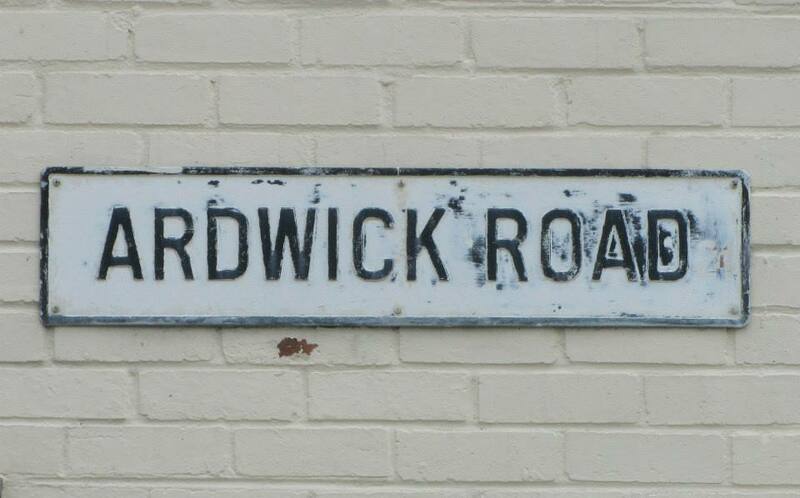 When she resigned from her job, the McCartney’s moved to Ardwick Road. 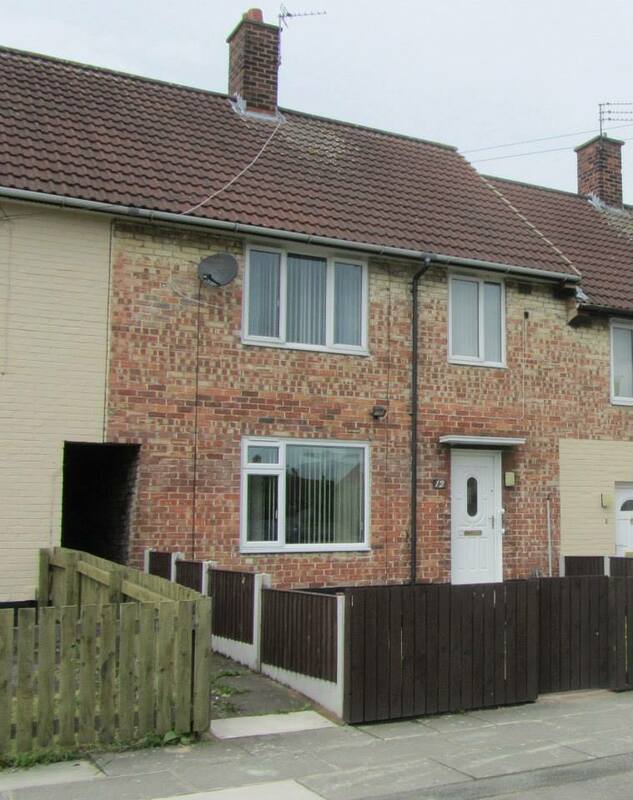 In January 1950, the Harrison family left their terraced home in Arnold Grove and moved to this newly built, more spacious council home in Speke. 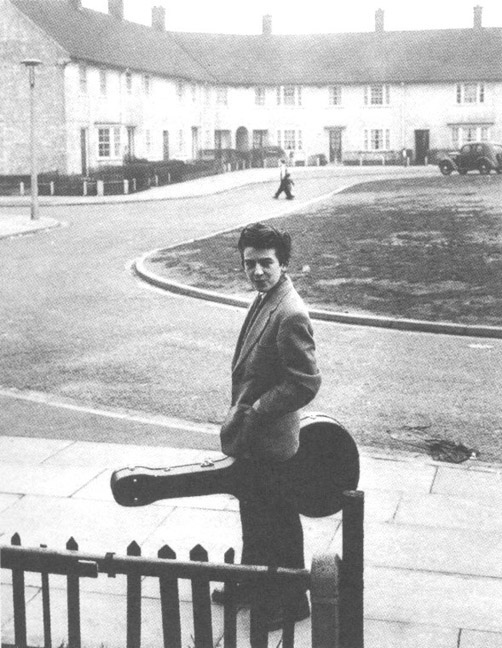 The Quarrymen played at this house in December 1958 at George’s brothers wedding reception, a picture from which can be seen below. 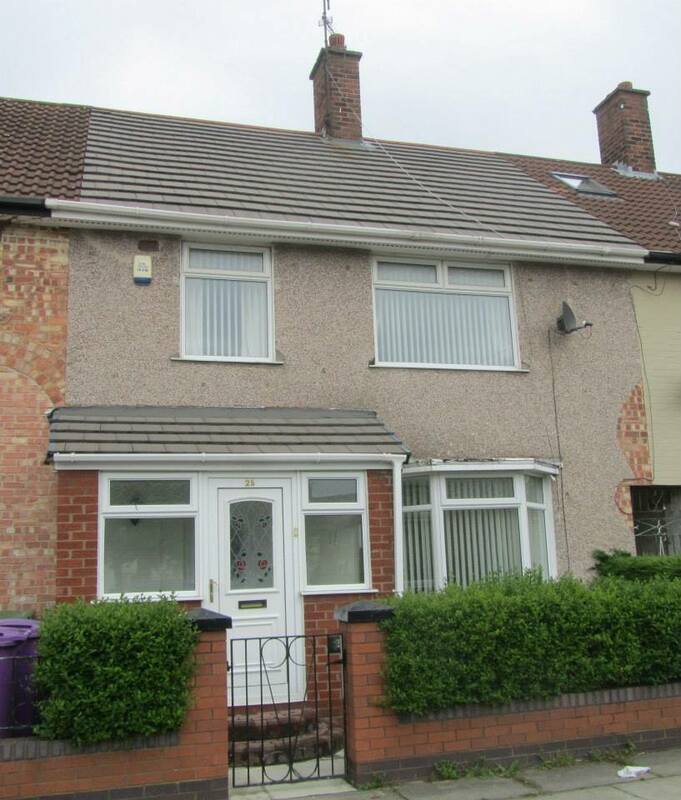 It was also in this home that George first heard ‘Love Me Do’ on Radio Luxembourg in his bedroom. 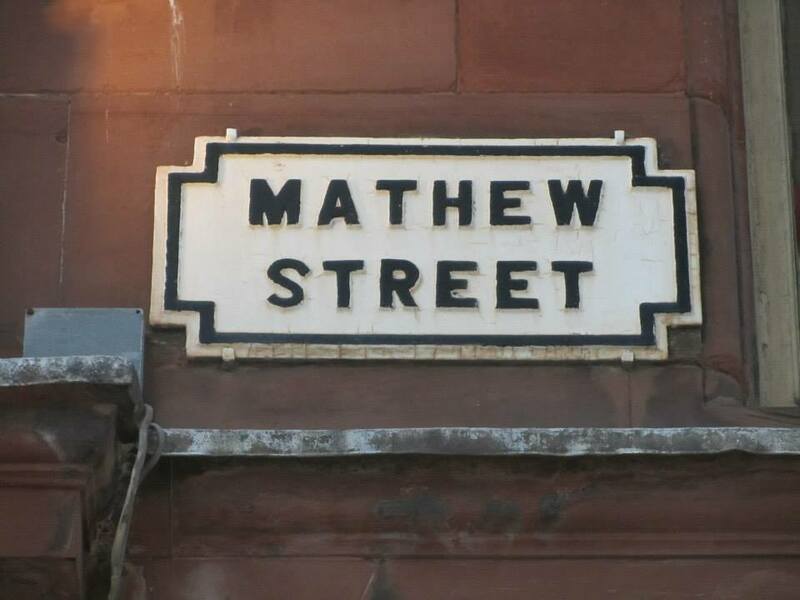 He moved out in late 1962 to Mackett’s Lane. 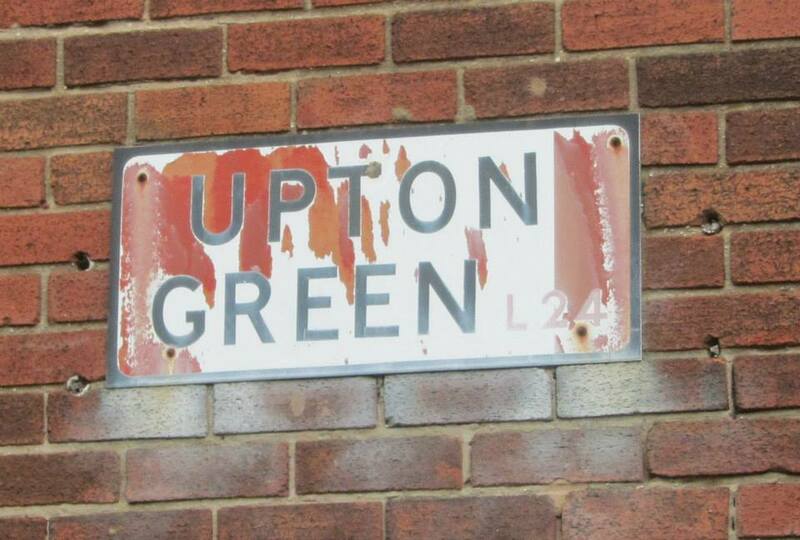 By the time he left Upton Green, Harrison was a recording artist. 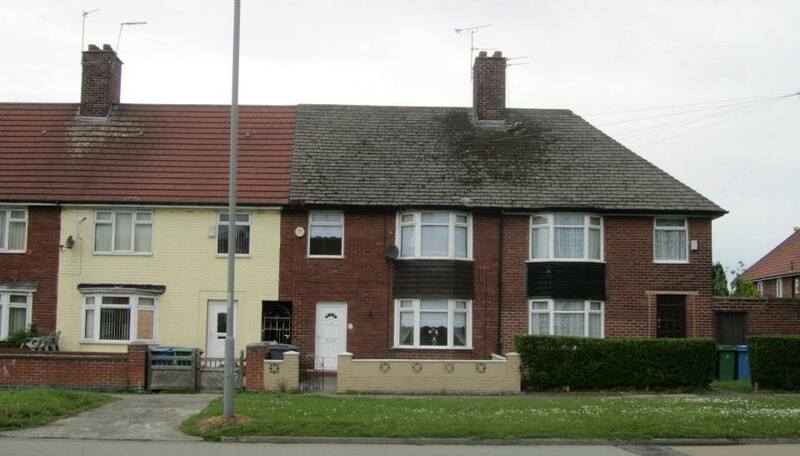 When Mary McCartney, Paul’s mother, became a health visitor the family moved into this home on Ardwick Road in the Speke council estate. 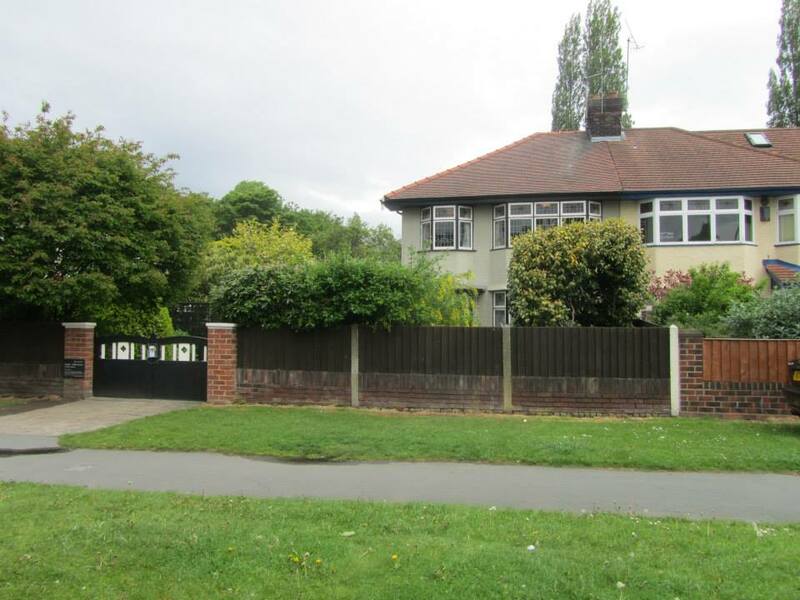 This was the home of Paul McCartney from 1950 until 1955 and was his penultimate childhood home before moving to Forthlin Road – his most famous home and a house now owned the National Trust. 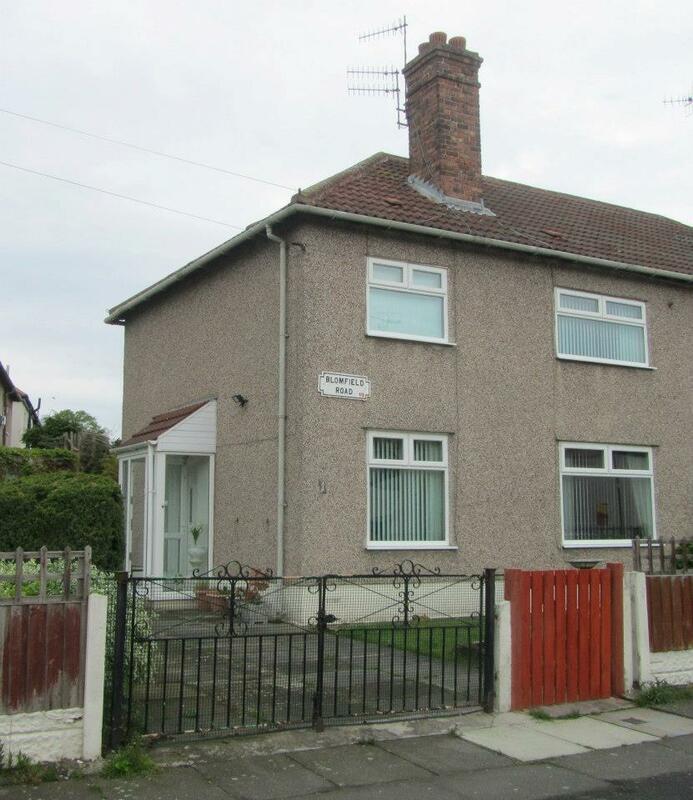 It was in this house that the ex-Beatle recalls almost the entire neighbourhood watching the Queen’s coronation in 1953, the McCartney’s being the only family in the area with a television! 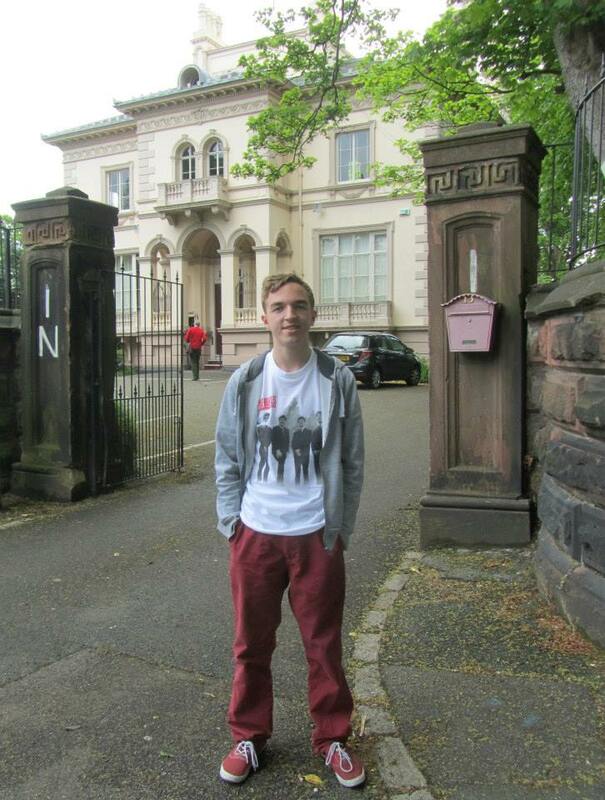 This house was located very closely to the Upton Green home of another Beatle, George Harrison. 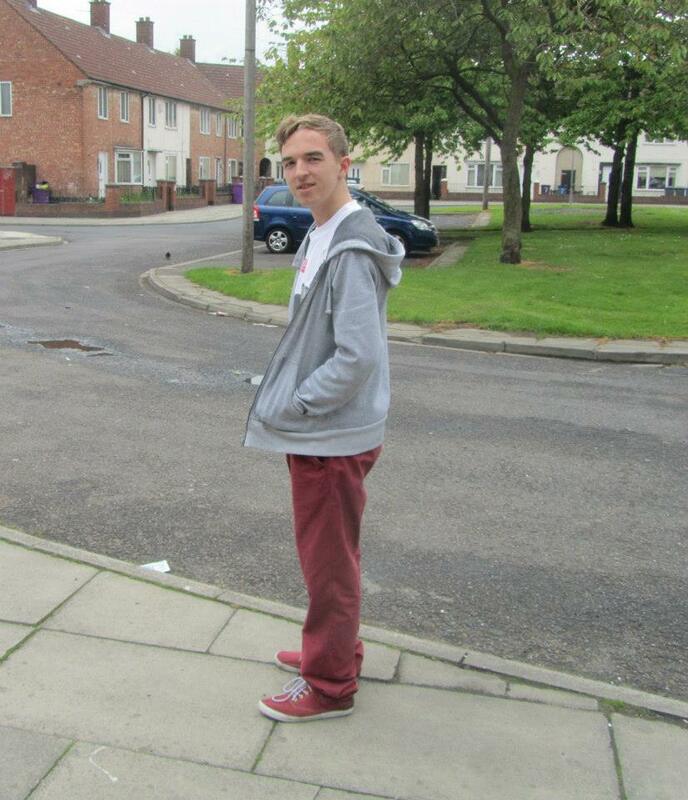 It was whilst living here that the two boys met and formed a friendship, catching the bus to school each day. 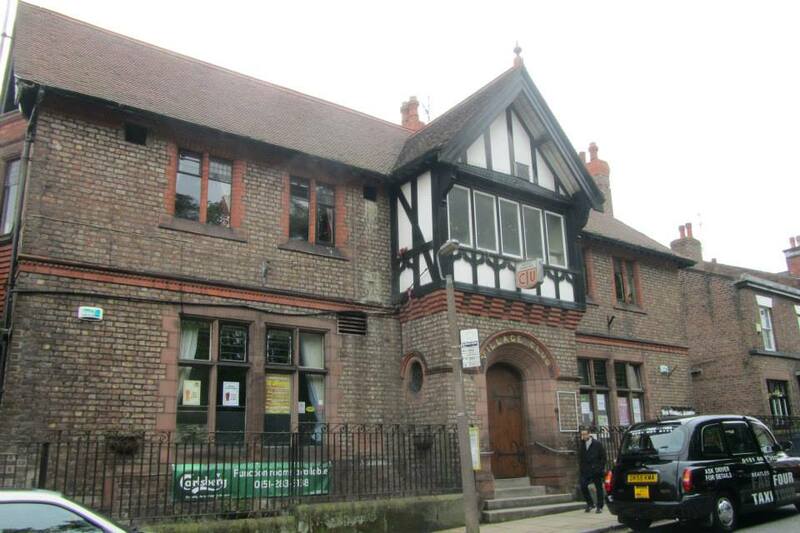 This club located in Woolton, a suburb of Liverpool, was the venue of one Quarrymen performance on Saturday 24th January 1959. 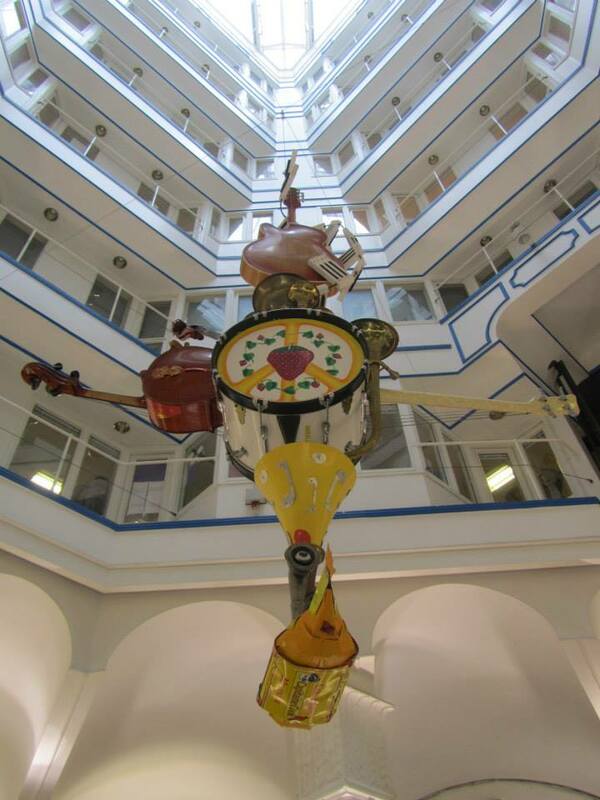 The group performed a 10 minute set, playing various skiffle songs, and were booked both due to their locality and availability. 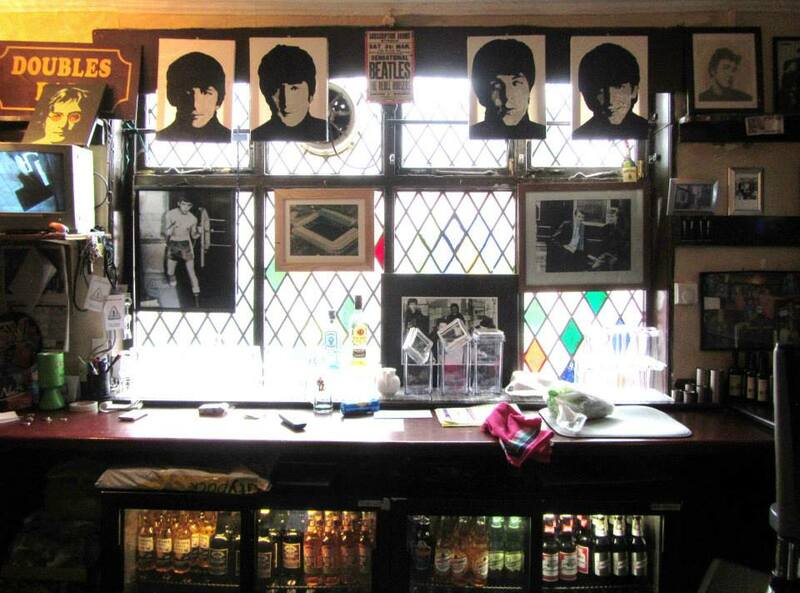 The club is very close to John Lennon’s main childhood home at Mendips and is in the same area as the church hall where Lennon met Paul McCartney. 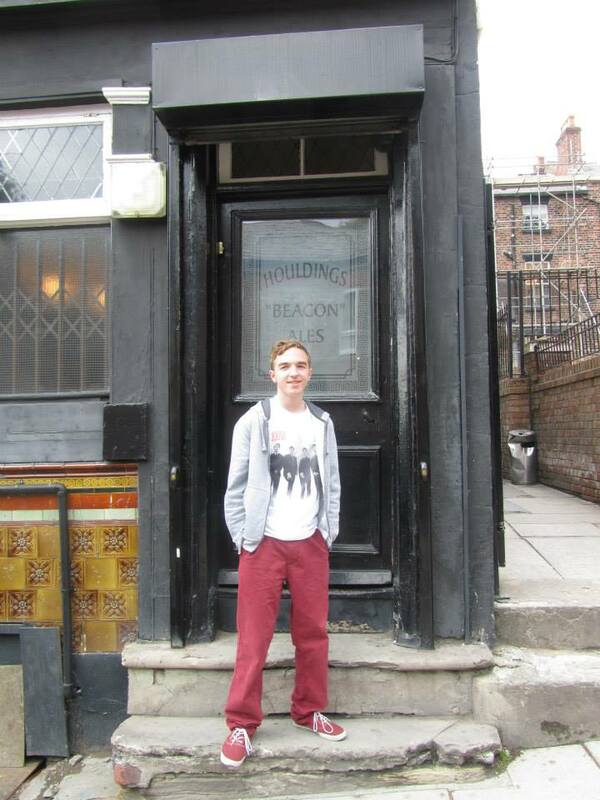 The shop owned by Pete Shotton’s mother holds a very important place in Beatles history. 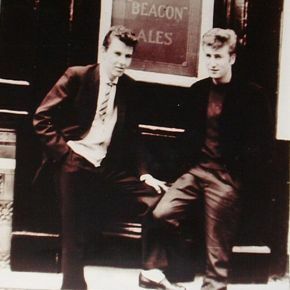 Shotton was the washboard player in the Quarrymen and also good friends with John Lennon, remaining friends with the Beatle for the rest of his life. 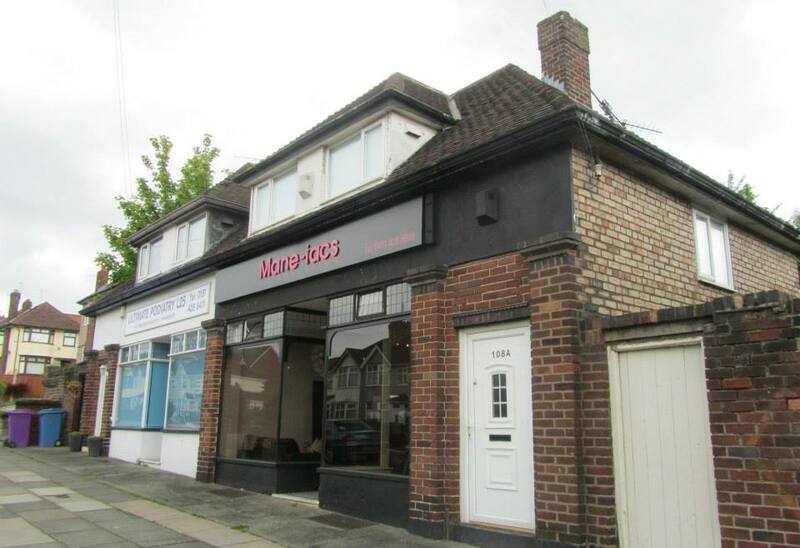 Now a hairdressing salon, Mrs Shotton overheard a conversation between the St Peter’s church hall caretaker Harry Gibbons and another customers about the upcoming Summer fete. 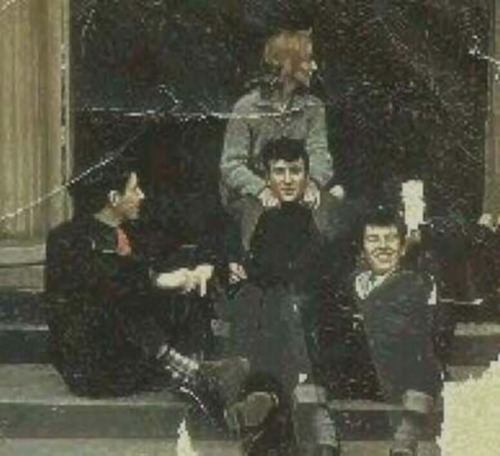 She enquired about whether her son’s group the Quarrymen could perform at the event since they attended the Sunday School and Youth Club at the church. An audition was arranged with the organiser Harry Foster the band performed at the fete on 6th July 1957, with a certain Mr Paul McCartney amongst the audience. The rest, as they say, is history. 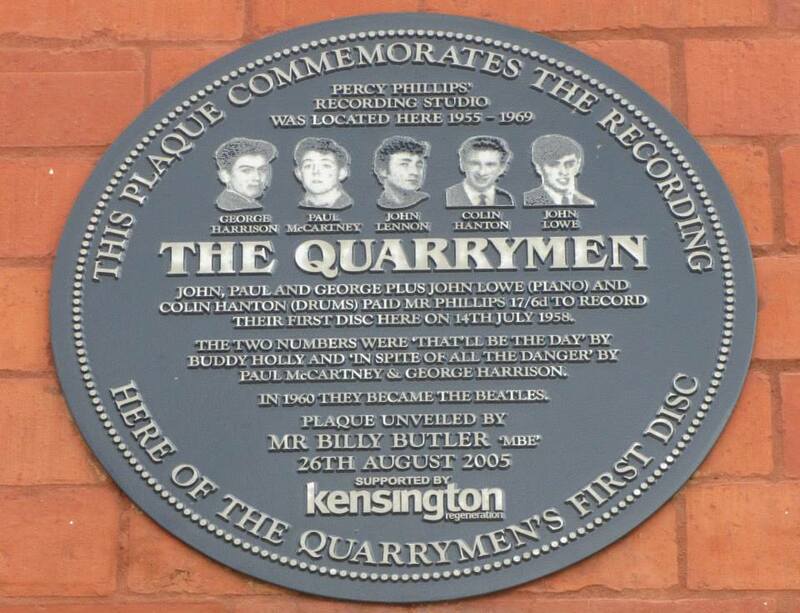 If that conversation had never took place, then the Quarrymen may have never played at the fete and Lennon may have never met McCartney so the Beatles may never have existed! 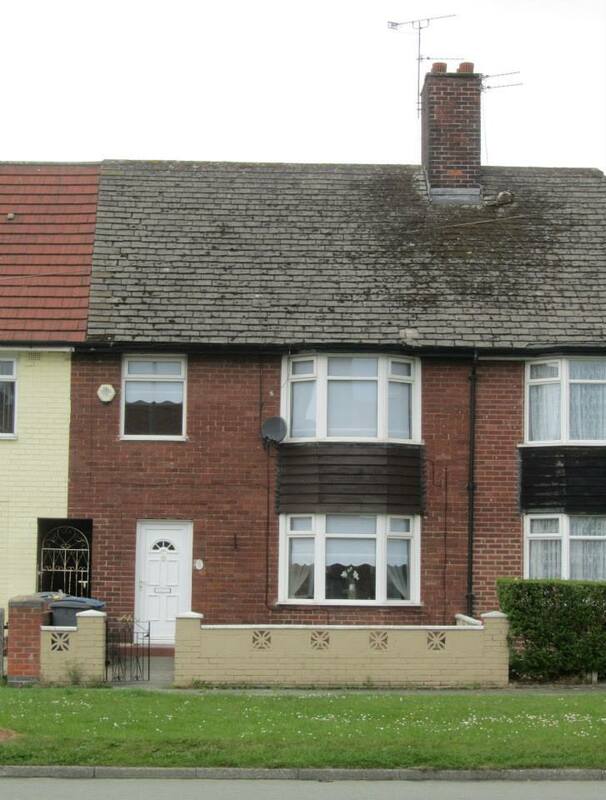 A key figure in Beatles history, Ivan Vaughan, lived at this house on Vale Road, named ‘Vega’. 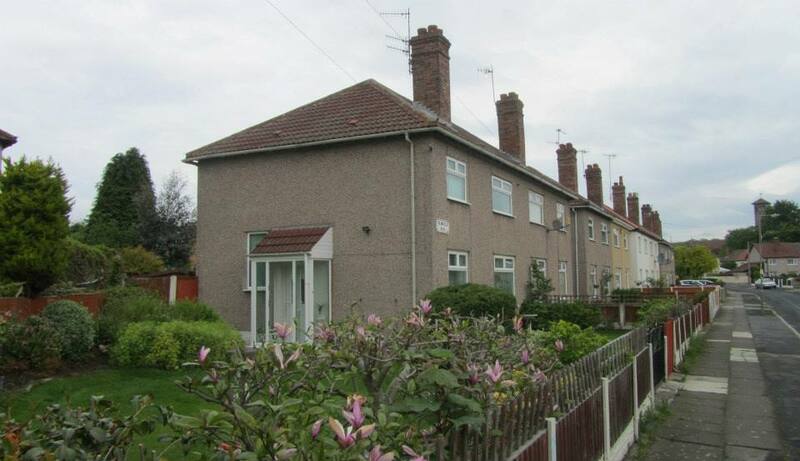 The garden of this house, in which Ivan lived during his childhood, backed directly onto John Lennon’s home on Menlove Avenue. 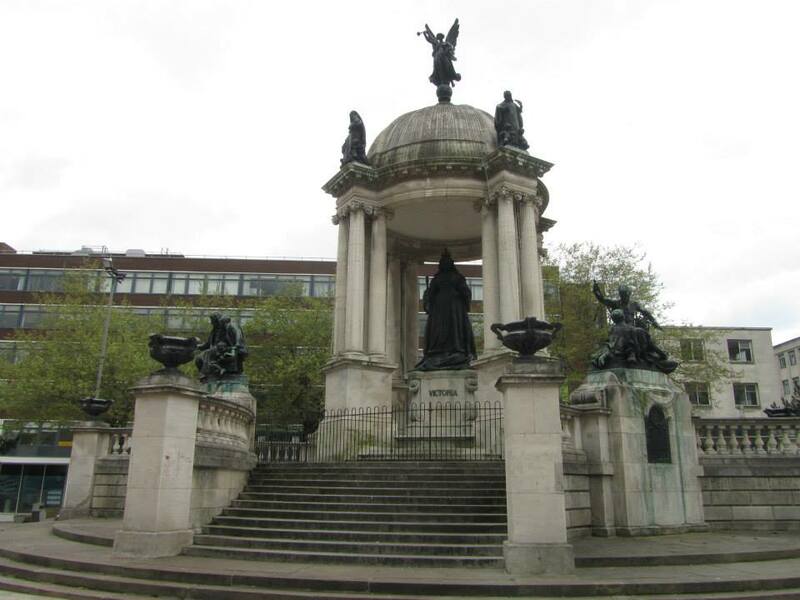 The two were boyhood friends, while Vaughan was also a schoolmate of Paul McCartney at the Liverpool Institute – the two being born on the same day. 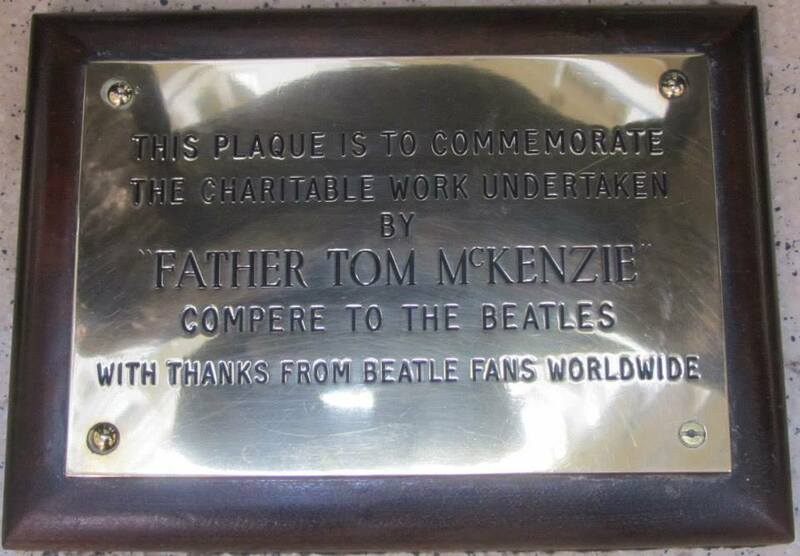 He played bass part-time in the Quarrymen and was responsible for introducing John Lennon and Paul McCartney at Woolton Church Fete in 1957. The Dairy Cottage is a small house which was attached to the dairy farm. 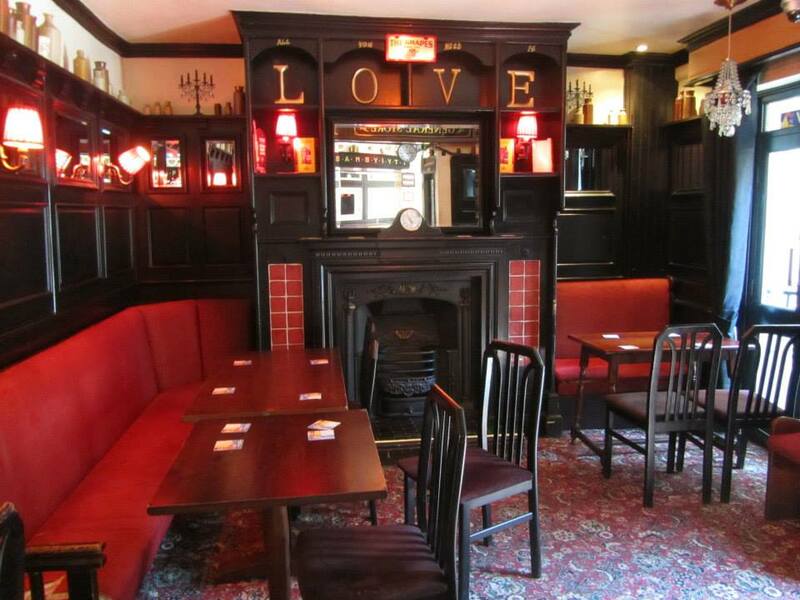 It was owned by John Lennon’s Uncle George Smith (his Aunt Mimi’s husband) . 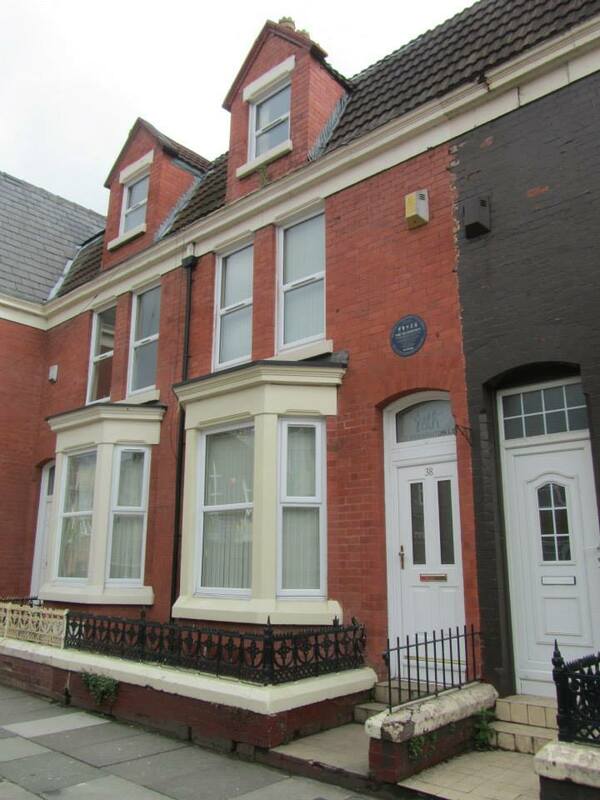 For a while as a young boy John lived here with his mum Julia while his father Alfred was away on his voyages. 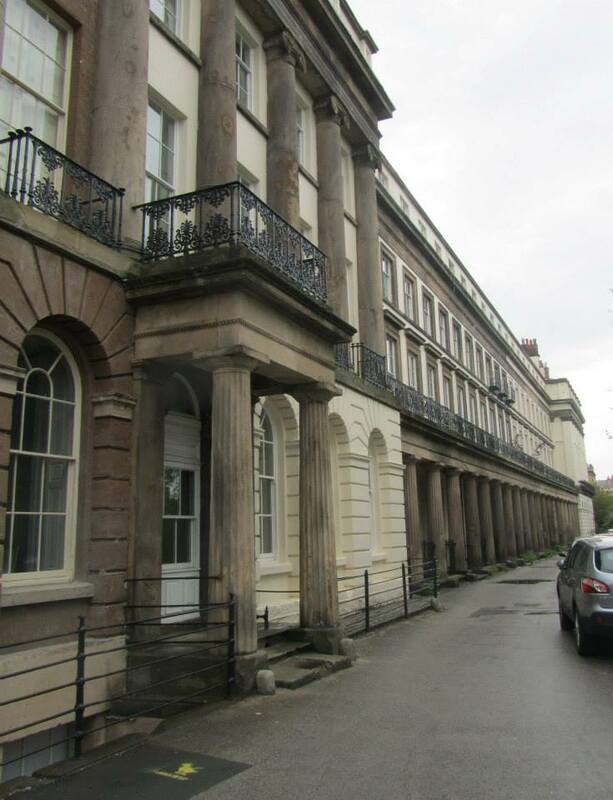 Mimi’s sister Harriet also lived here with her husband Norman and eventually they became the guardians of John’s half sisters Julia and Jackie when they moved in. 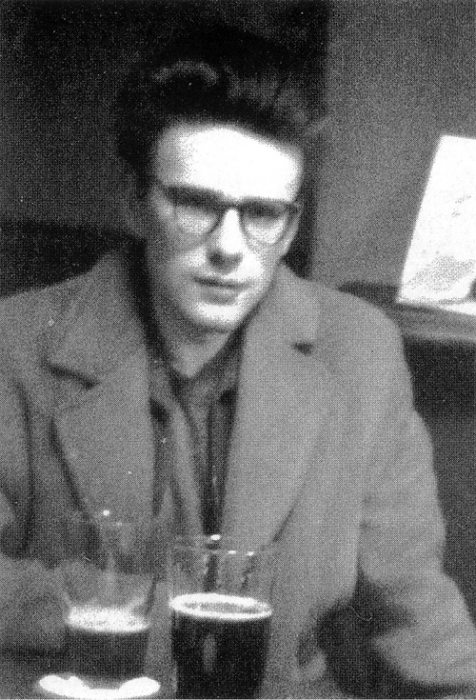 Stuart Fergusson Victor Sutcliffe, the original bassist of the Beatles, died on the 10th April 1962. 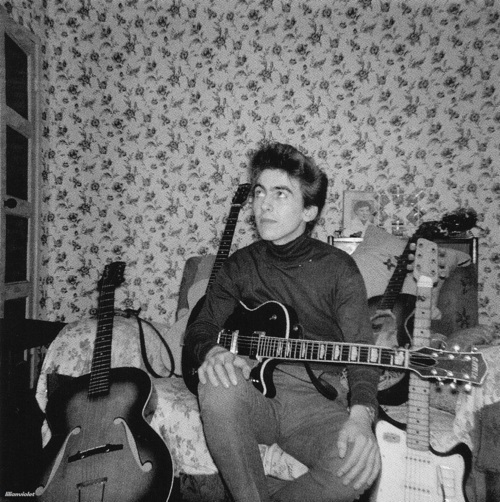 After quitting the Beatles, choosing instead to stay in Hamburg with his girlfriend Astrid Kirchherr and concentrate on his art, Sutcliffe began experiencing severe headaches and collapsed on 10th April 1962, dying in the ambulance on the way to the hospital at the tragically young age of 21 – with the cause of death later revealed as an aneurysm. 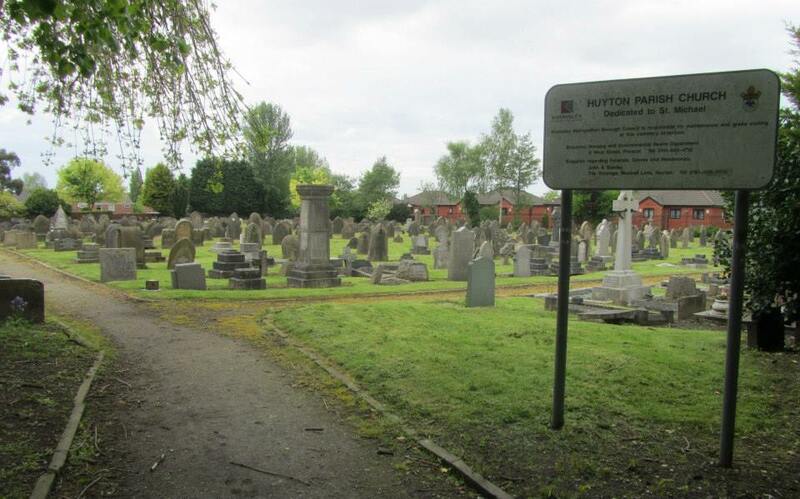 The funeral took place at St Gabriel Church in Liverpool and his final resting place is the Huyton Parish Cemetery. 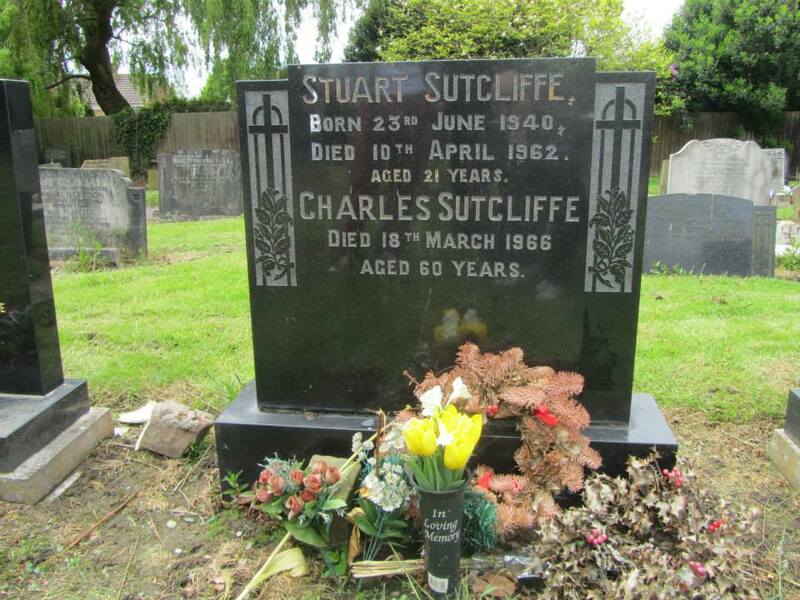 Sutcliffe’s father was unable to attend the funeral due to being in South America and neither Astrid Kirchherr nor John Lennon – who was devastated by the loss of his friend – attended. 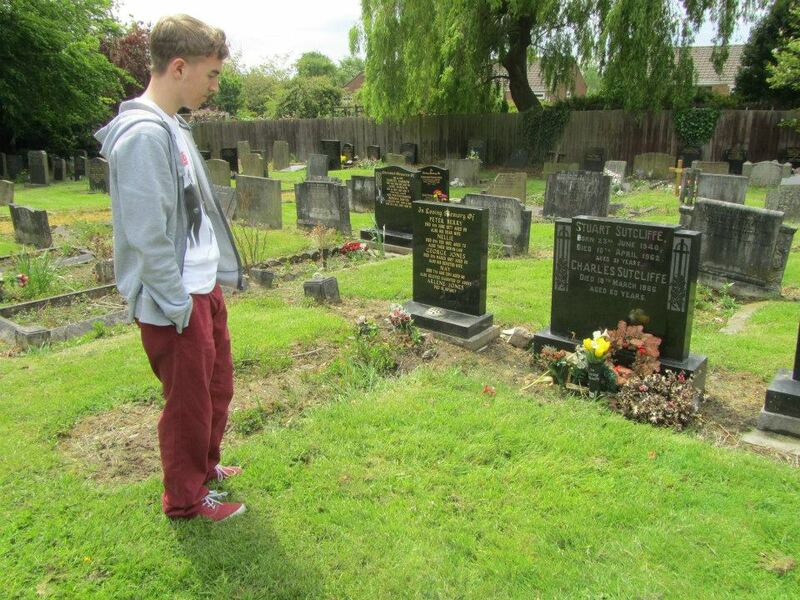 These photos show the gravesite, with Stuart buried alongside his father Charles, who passed away 18th March 1966 – outliving his son by just under four years. 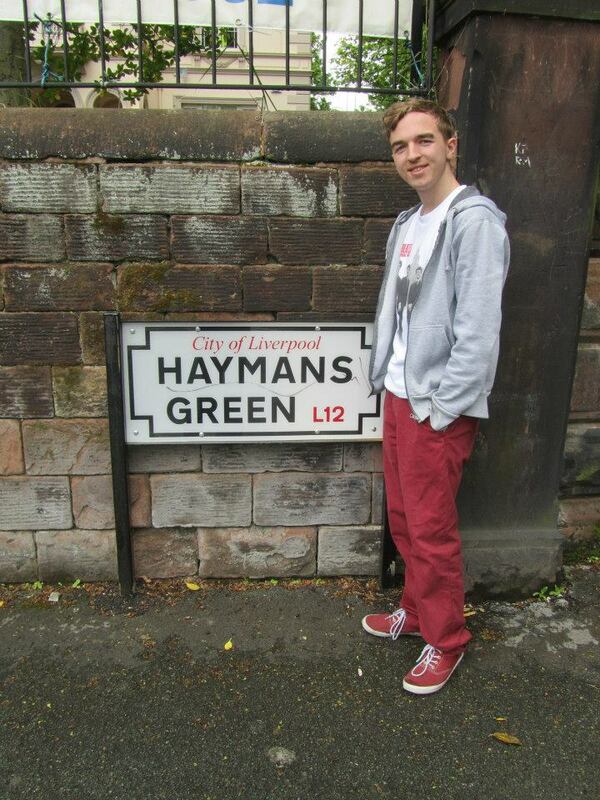 Lowlands was a community hall in Haymans Green, on the same road as the Casbah Club in West Derby. 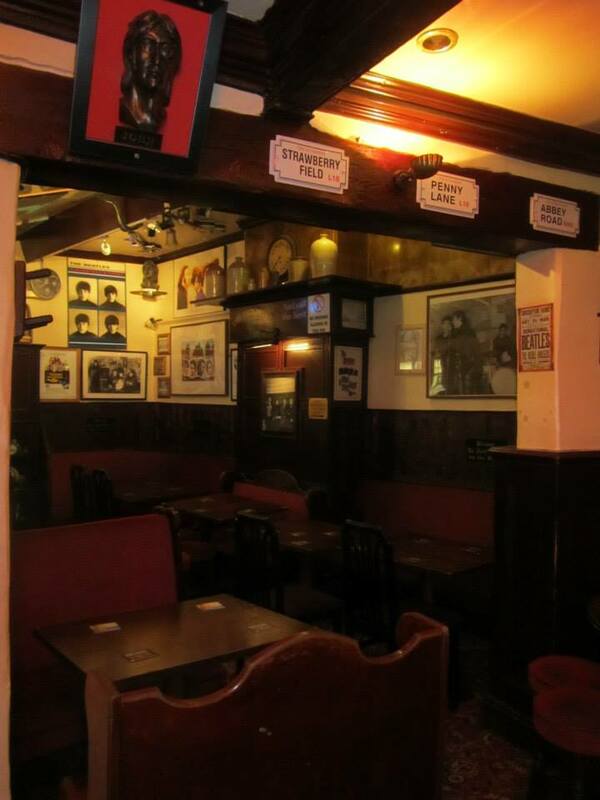 The Les Stewart quartet which featured George Harrison, as well as Ken Brown, Les Stewart on guitar and Geoff Skinner on drums, played here several times. 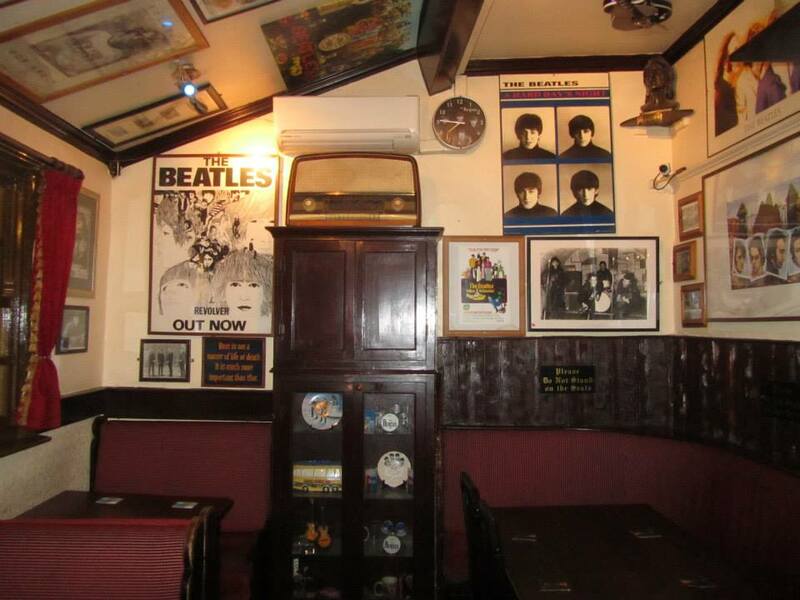 It was here that Ken Brown left the band after an argument, and George Harrison went with him. 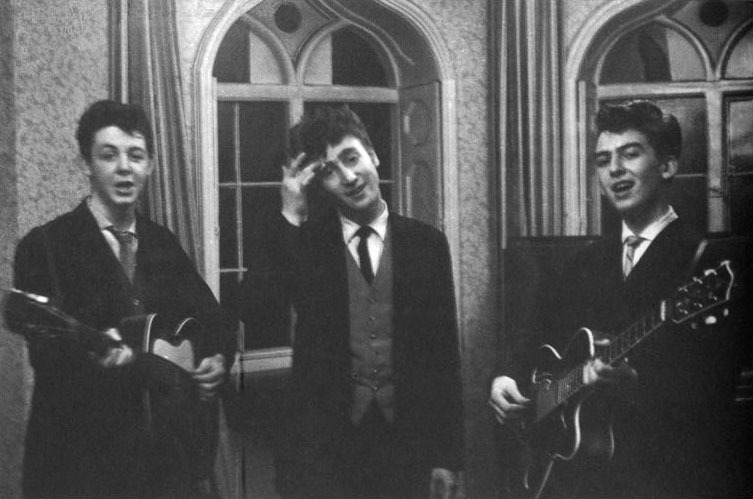 The two later joined up with Paul McCartney and John Lennon to reform the Quarrymen, taking the headlining spot at the opening of the Casbah – a spot originally meant to be filled by the quartet. 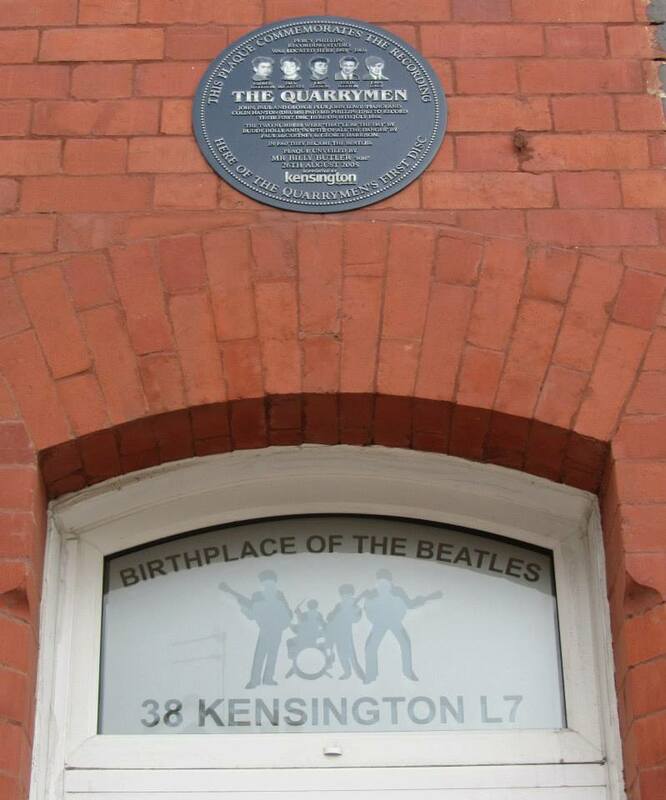 The location of Percy Phillips’ Studio, where the Quarrymen – including John Lennon, Paul McCartney and George Harrison, made their first recording in 1958. 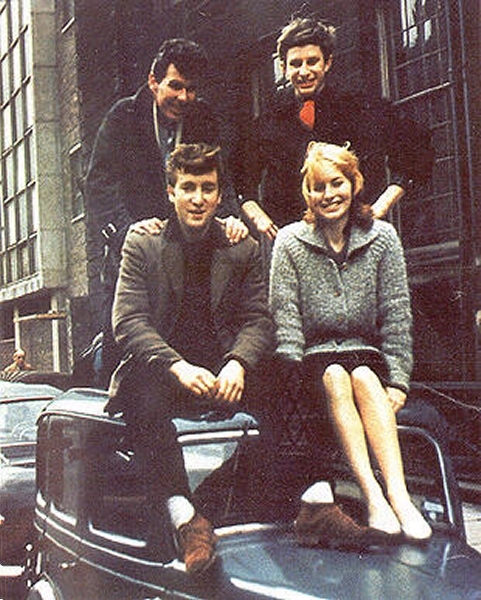 The group, which also saw Colin Hanton on drums and John “Duff” Lowe playing piano, recorded “That’ll Be the Day” and “In Spite of All the Danger”. 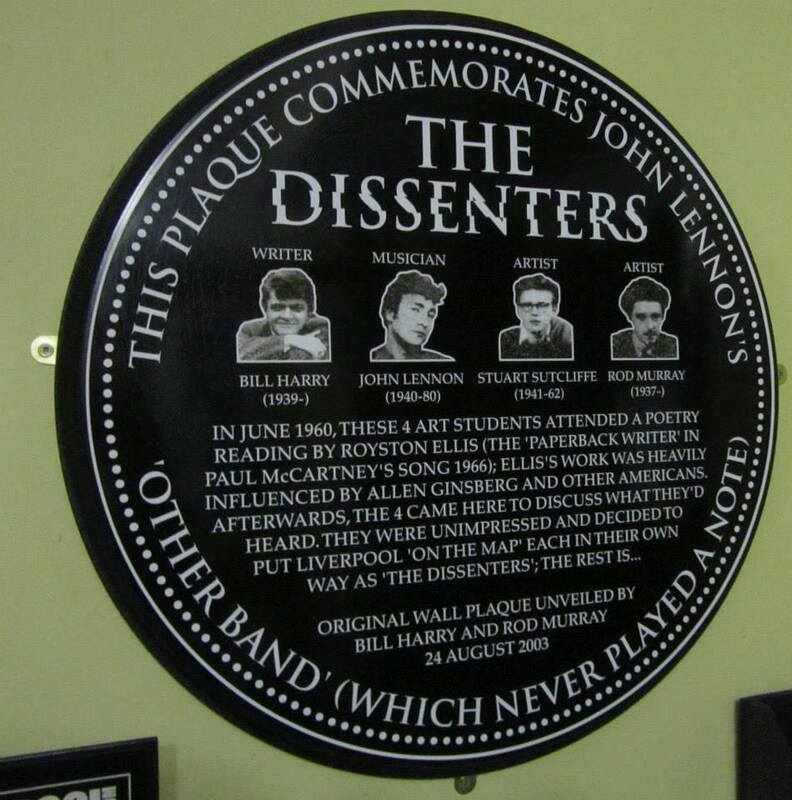 The date was originally unknown except mid-1958, but the plaque recently unveiled at the home claims the date was 14th July 1958 (one day before John’s mother Julia was killed). However recently this date has been disputed. 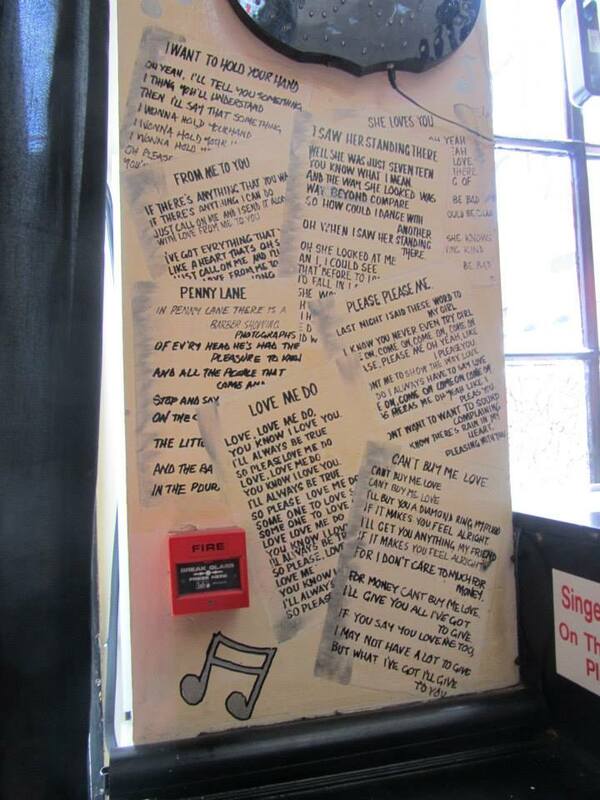 The songs were released on the Anthology discs in 1995 and the original recording is thought to be one of the most valuable records in the world. 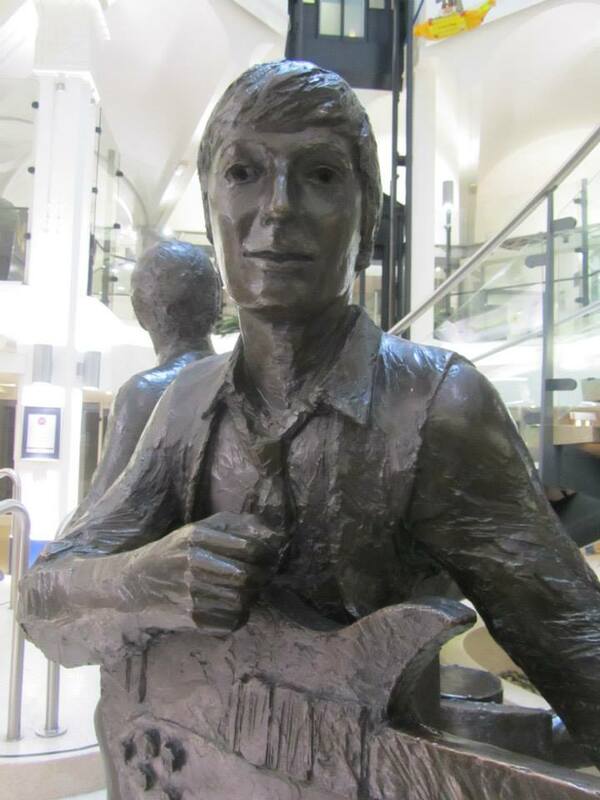 John “Duff” Lowe kept hold of the record until 1981, when Paul McCartney bought it for an undisclosed amount. 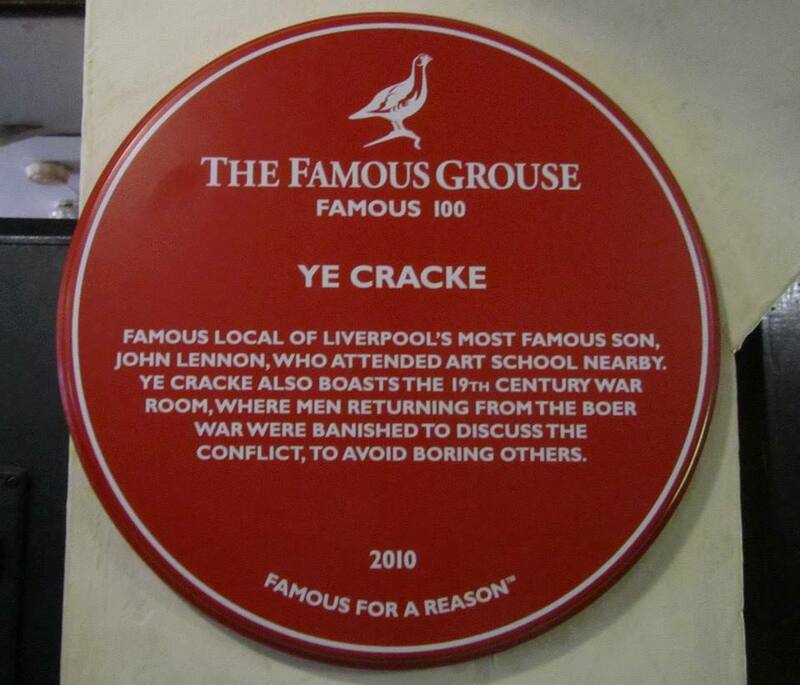 The Ye Cracke is an old 19th century pub on Rice Street was a popular pub amongst students at the local Liverpool College of Art. 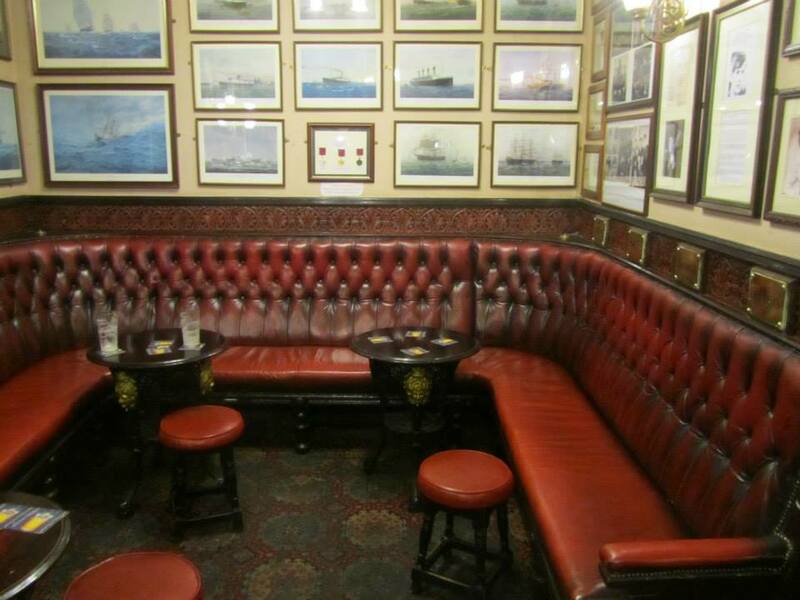 John and Stuart Sutcliffe drank here often, with their favoured drink apparently being Black Velvets. 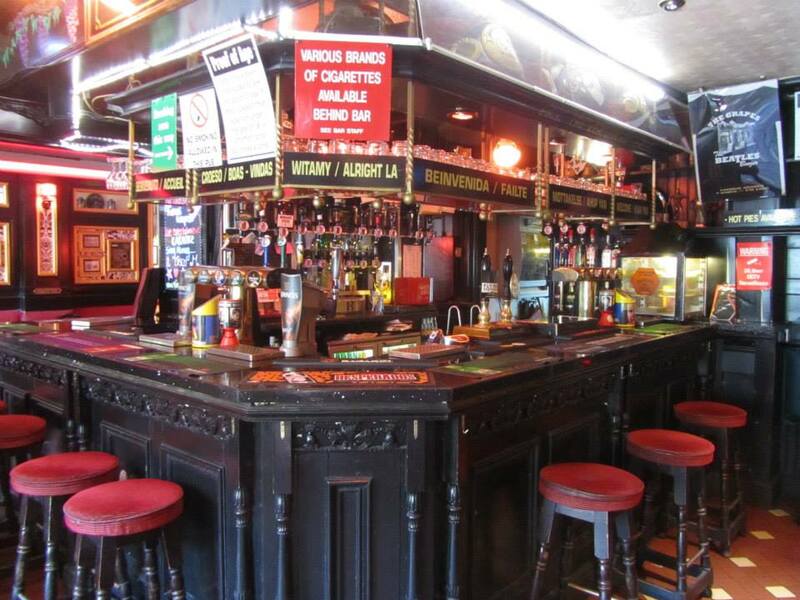 The pub was important to John as it is both where he came to drown his sorrows after hearing of the death of his mother Julia and the place he brought Cynthia after meeting her at a college dance. 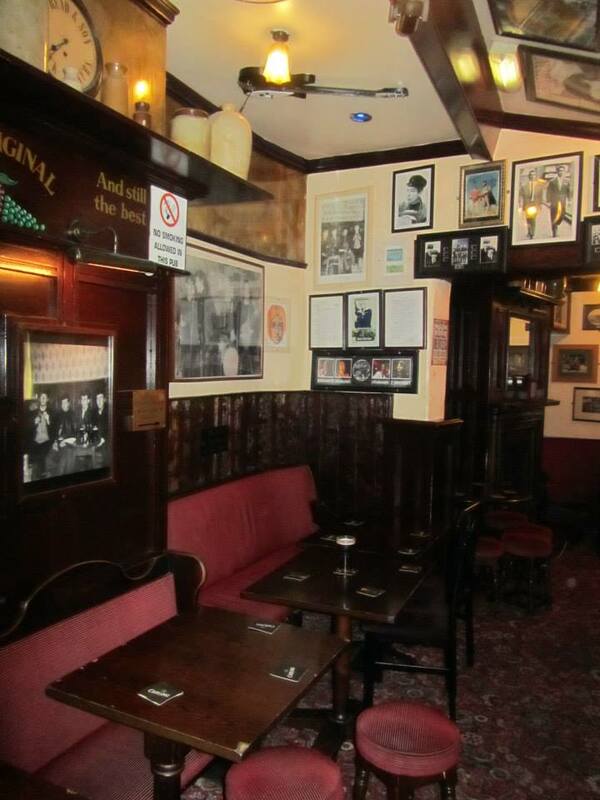 One of the first photos of John and Cynthia together was taken next to this pub. 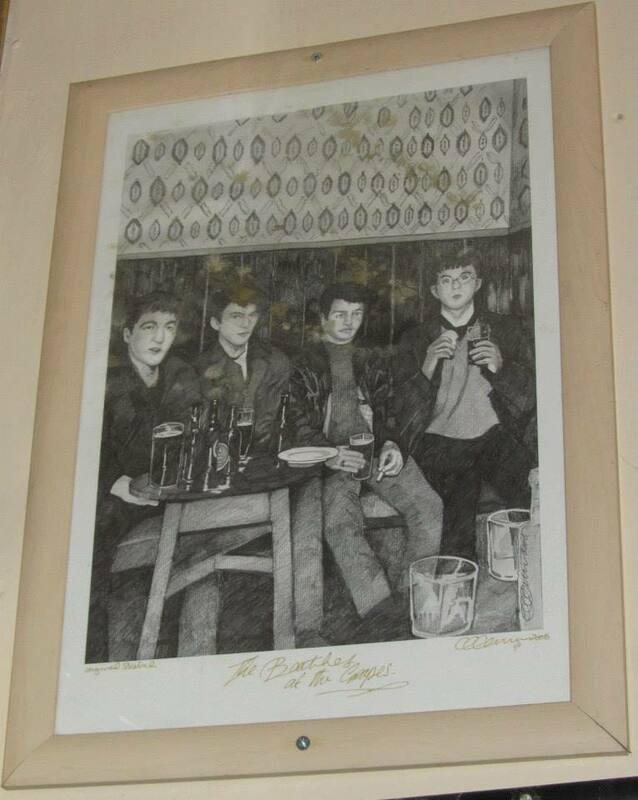 A copy of one of Stuart Sutcliffe’s paintings, showing the Ye Cracke, also hangs inside the pub. On 19th February 1963, London photographer Michael Ward was hired by Honey magazine to spend a day with the Beatles in Liverpool, doing photoshoots with the group. With Britain deep into its harshest winter since 1740, the ‘Fab Four’ were understandably reluctant subjects for the photographer. 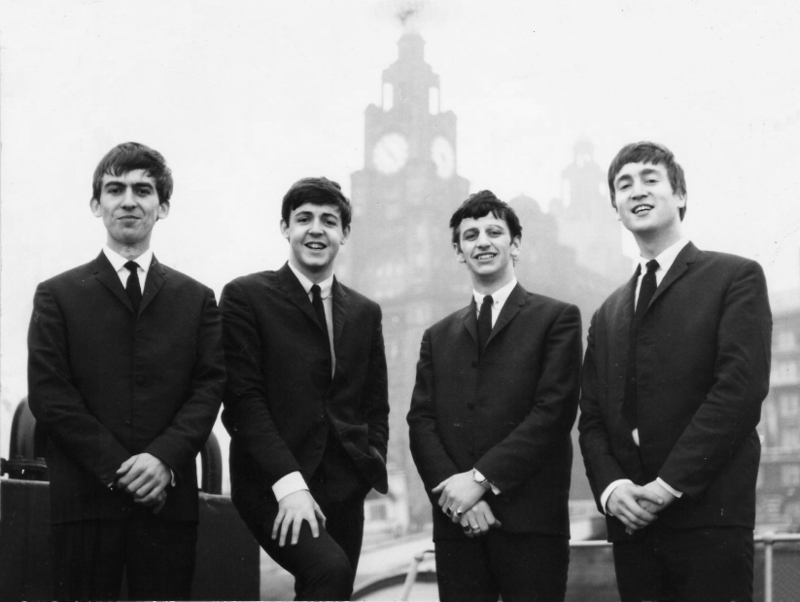 This was also a historic day as, although they had a top 20 hits with ‘Love Me Do’, it was on this day that they discovered their latest single ‘Please Please Me’ had hit number 1. 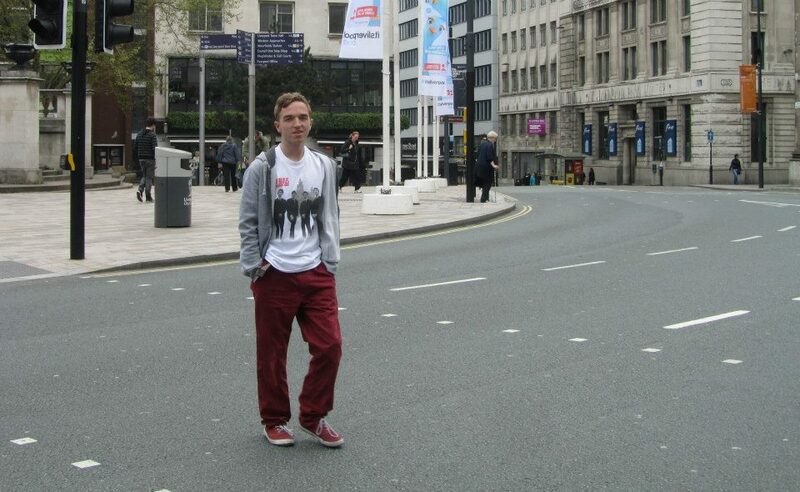 The day was based around three photo sessions, with the morning spent on the streets of Liverpool. The Beatles were photographed on both the Victoria Monument and also a nearby zebra crossing – something famously repeated over six years later at a different crossing at Abbey Road in London! In the afternoon he photographed their rehearsal at the Cavern and finished with a photo session of the evening performance at the club – some of the final photos taken of the group performing their as they only returned twice more. In 1962 Brian Epstein hired the Peter Kaye studio to photograph the Beatles. 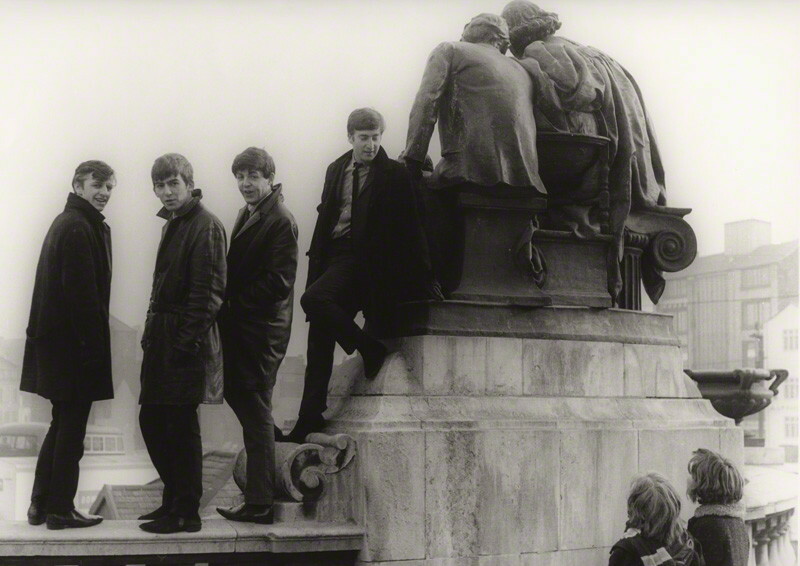 On a drizzly Wednesday in late September 1962, a one day outdoor Liverpool photoshoot took place. Photographer Les Chadwick took some of the most famous pictures of the group in the city, including this one in front of the famous Liver buildings. 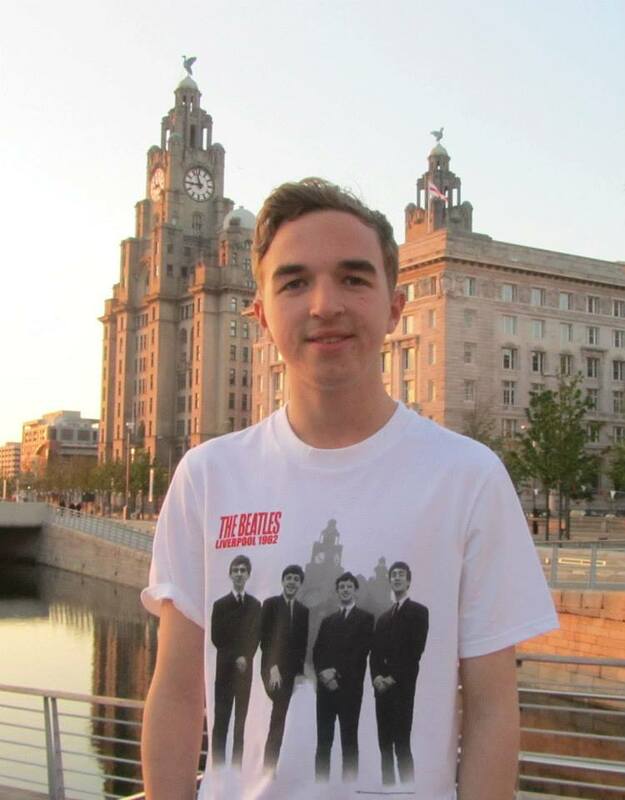 During my stay in Liverpool, I bought a shirt with this image on and attempted to recreate the photo 51 years on. 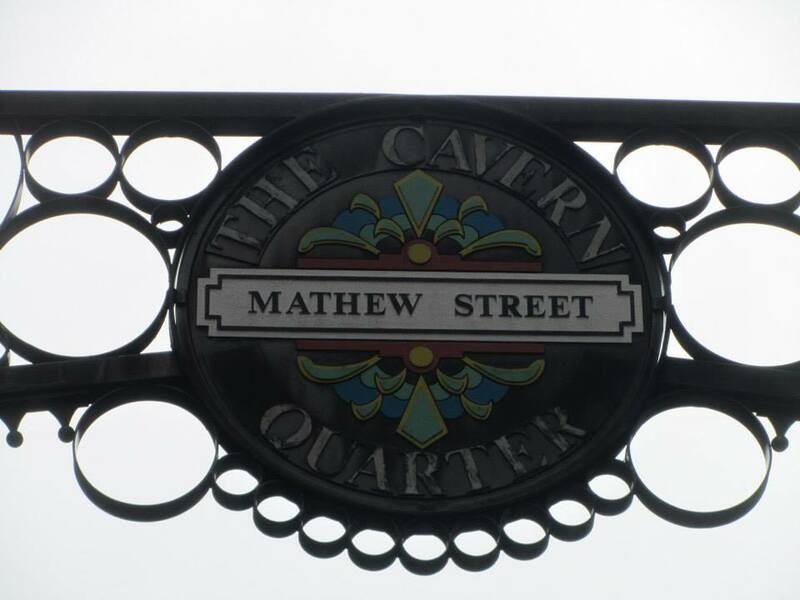 Mathew Street is one of the most famous streets in Liverpool and home to various Beatle-related places, including most famously the Cavern Club. 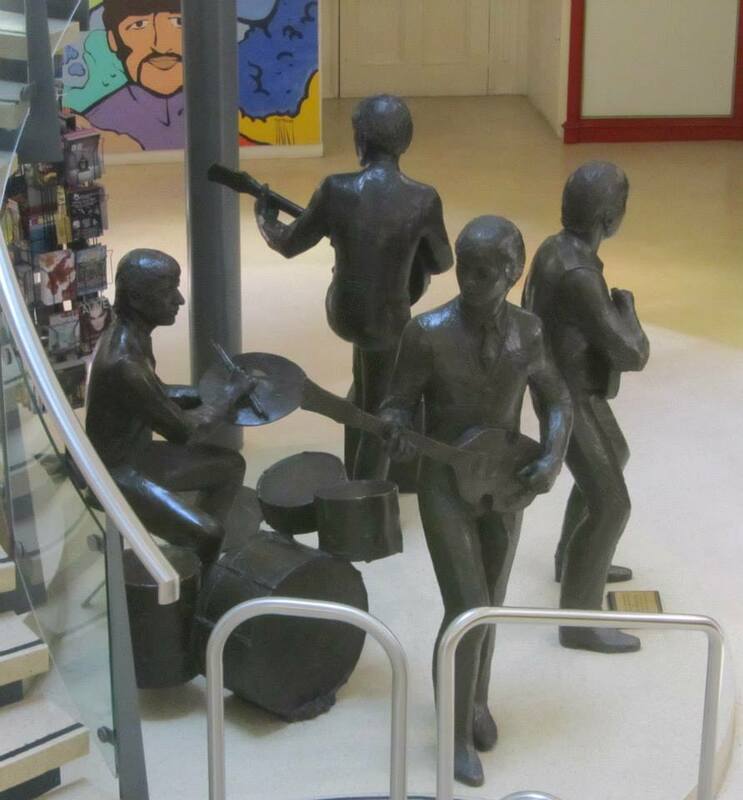 Also on the street is Cavern Walks, a shopping centre which we briefly visited to view the various pieces of art related to the ‘Fab Four’, including the statue on the ground floor by John Doubleday and the ‘Lucy in the Sky’ art. 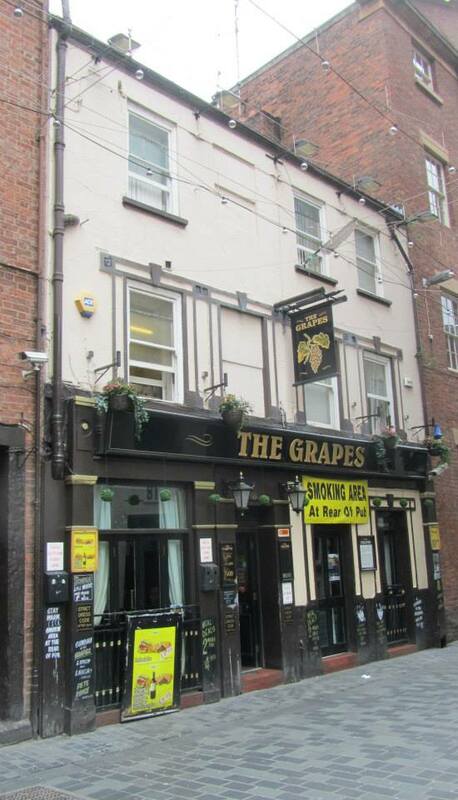 The Grapes pub on Mathew Street, which stood just across the road from the Cavern club, was a favourite Beatle hang out in the early 60’s. 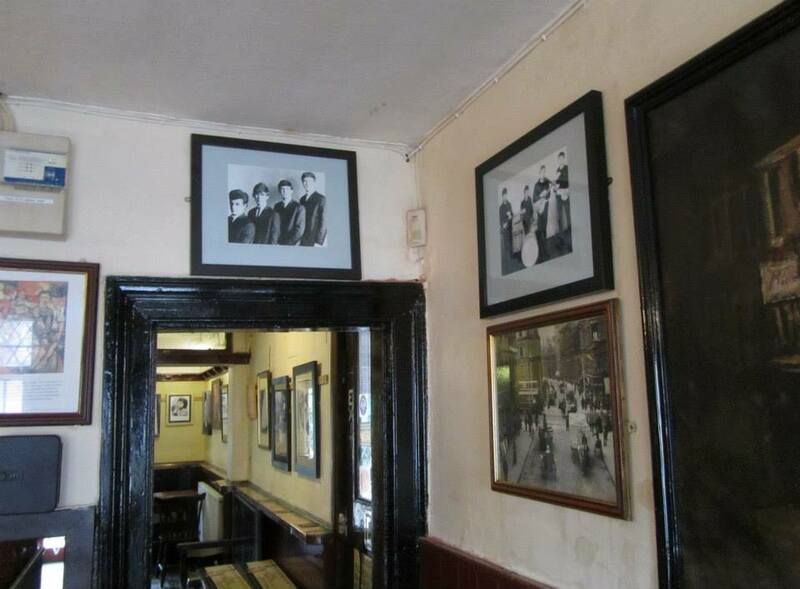 The back room today is a ‘shrine’ to the band and includes an actual photograph of the band (with Pete Best) sat in the corner. 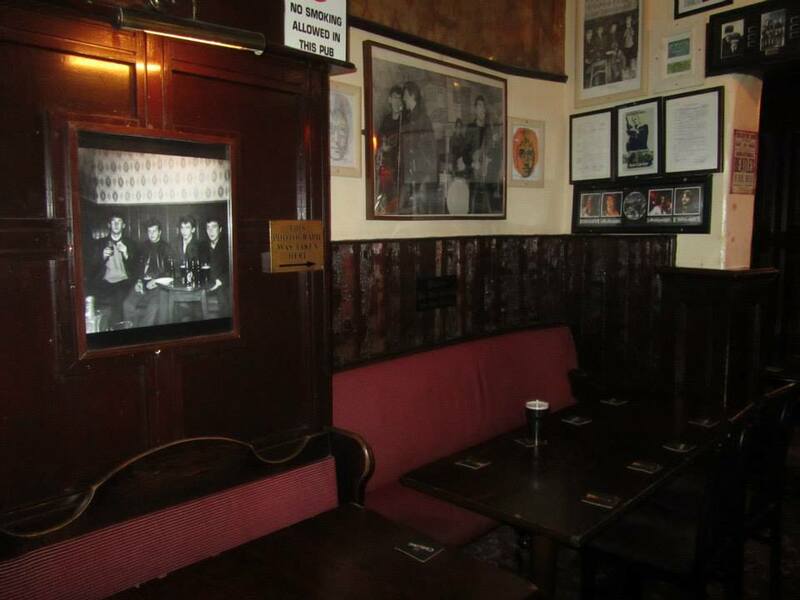 This dates from around Spring 1961 and even today you can still sit in the same corner as John, Paul, George and Pete! 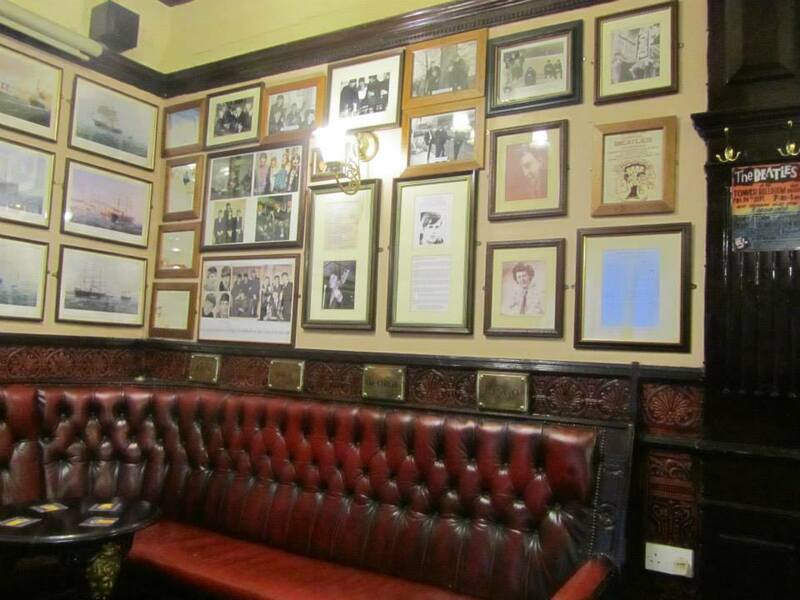 Some of the wallpaper from the photograph is also preserved in the pub. 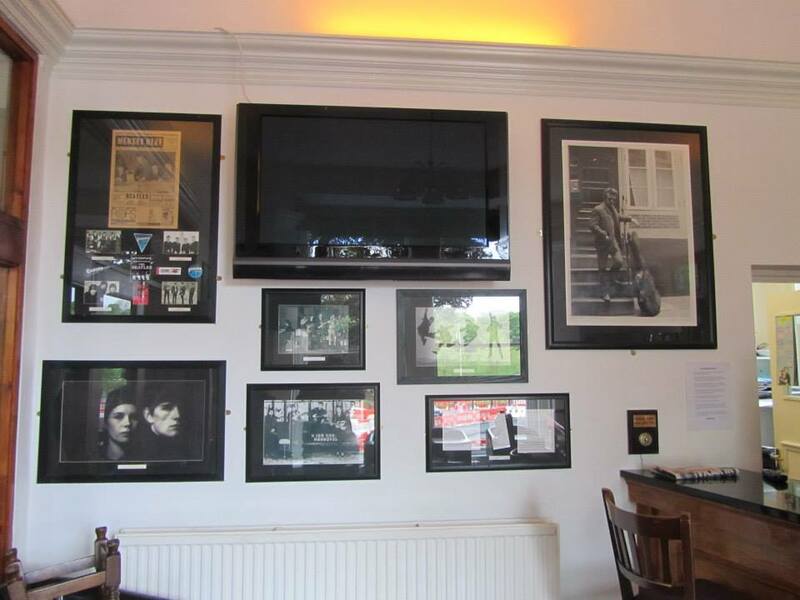 However, the photo that hangs in the pub is shown as a reversed image, Lennon should be sat on the left with McCartney on the right. 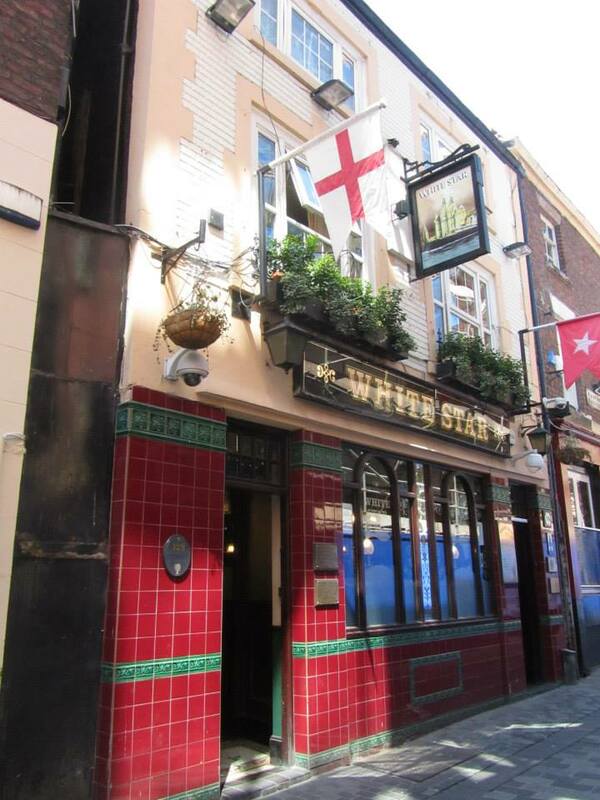 The White Star pub which dates from the 1880’s stands in the heart of the Cavern Quarter has its own little unique place in The Beatles history. 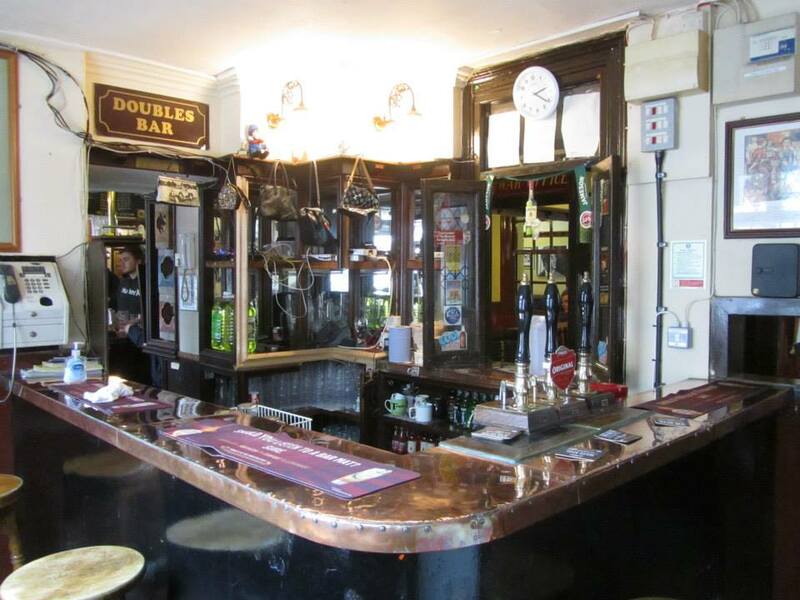 It is the place where Bob Wooler and Alan Williams used to pay all of their groups, including The Beatles. 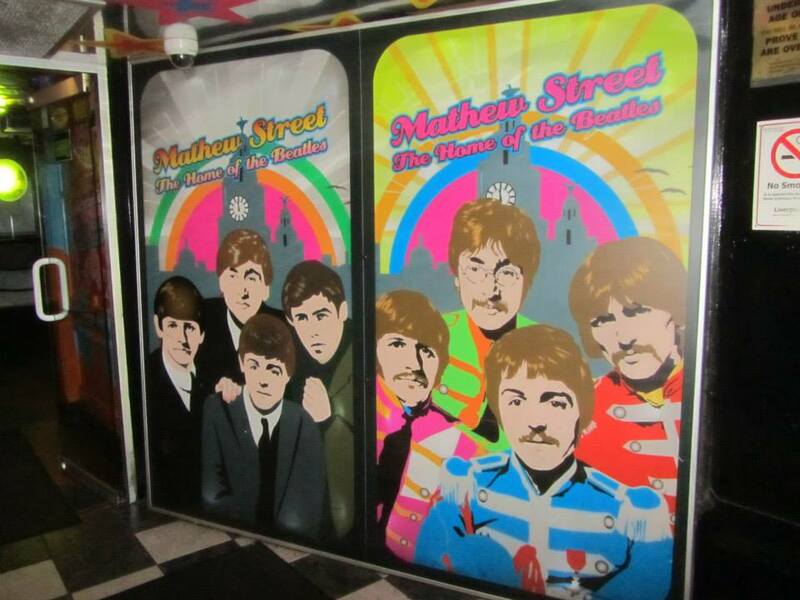 Where the Beatles wall is in the back room today, is where they were paid after there shows at the nearby Cavern on Mathew Street. 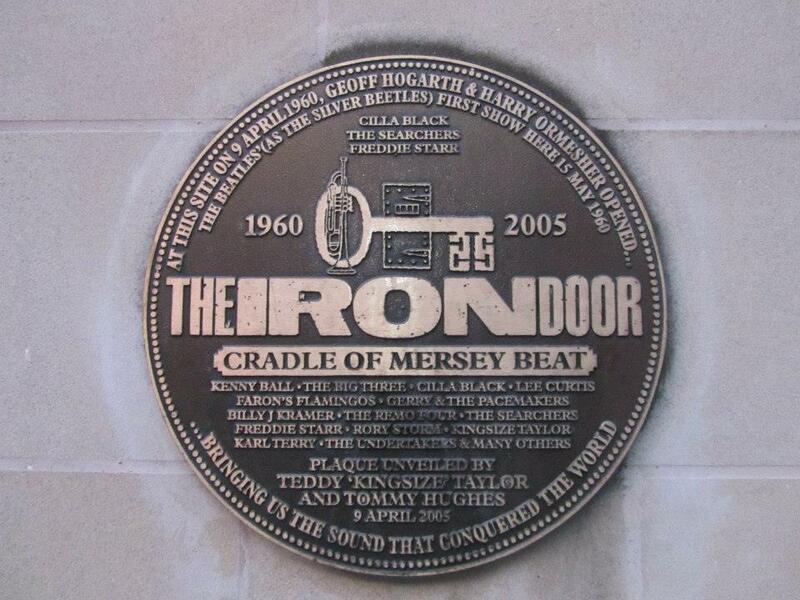 The only remaining sign of the club that gives itself the title of ‘Cradle of Mersey Beat’ is a bronze plaque on the wall. 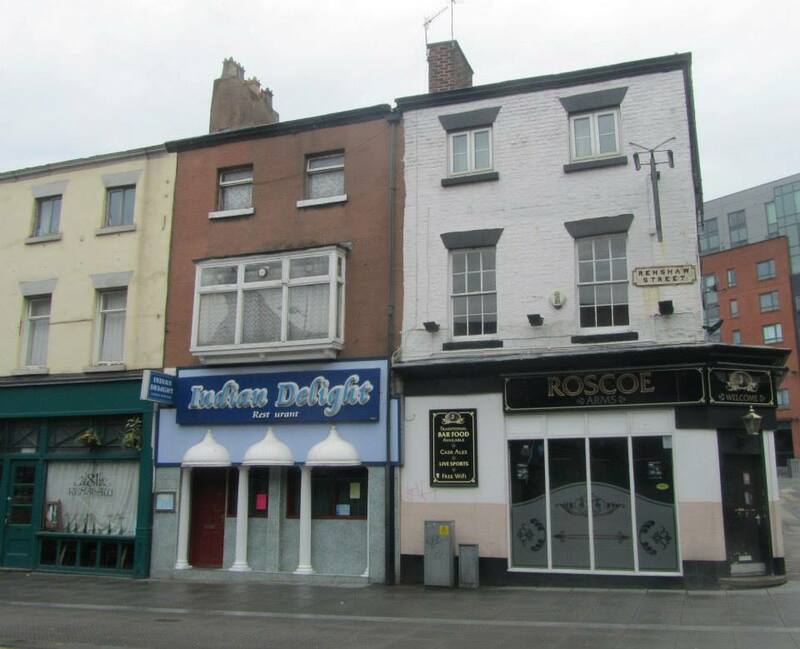 The club opened on 9th April 1960, originally as a jazz club, and in March 1961 the Beatles played five dates here while the club was still named the ‘Liverpool Jazz Society’. 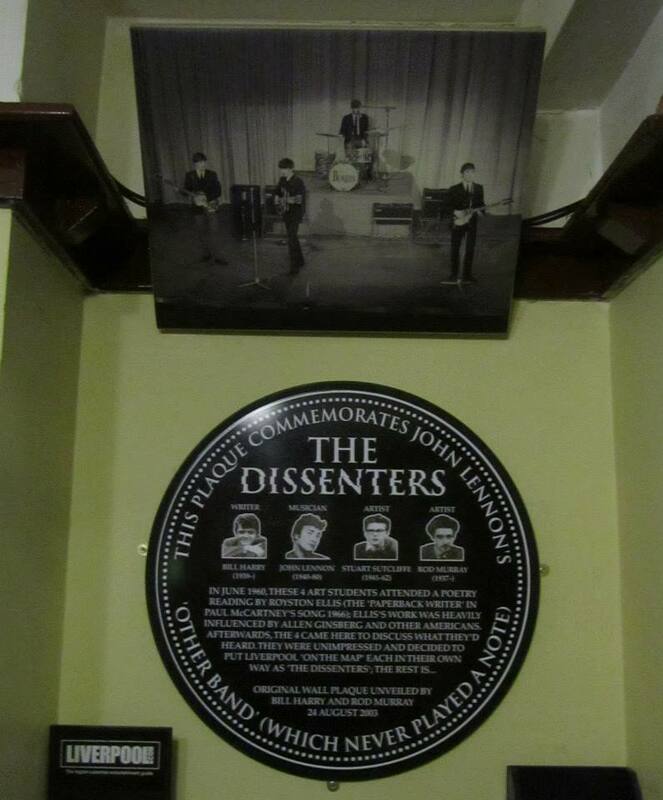 The plaque lists the various artists that played the club between its opening in 1960 and closure in 1964, including The Beatles, Cilla Black, Gerry and the Pacemakers and Rory Storm. 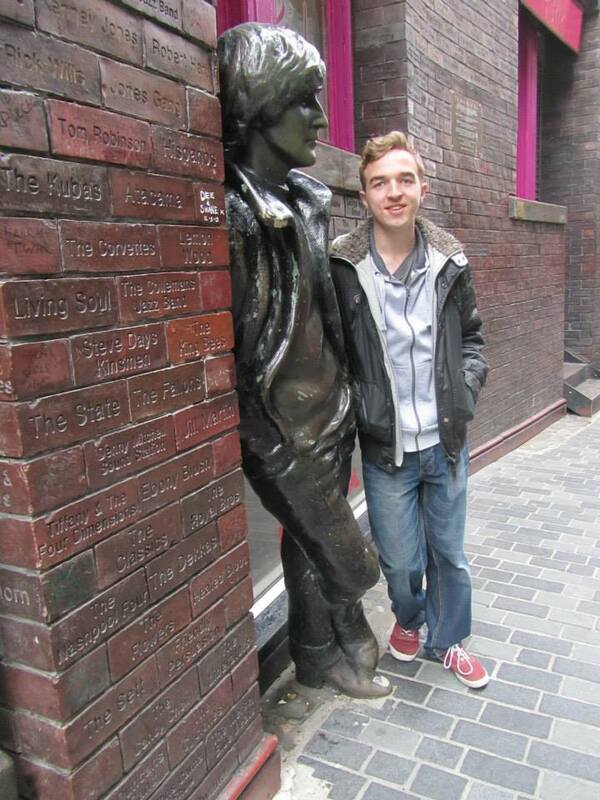 Ryan, As a long time Beatle fan who has seen it all, I must say I’m knocked over by your site…great detail. I’ve never seen ANYONE cover Rosebery st. like you did. Great stuff ! 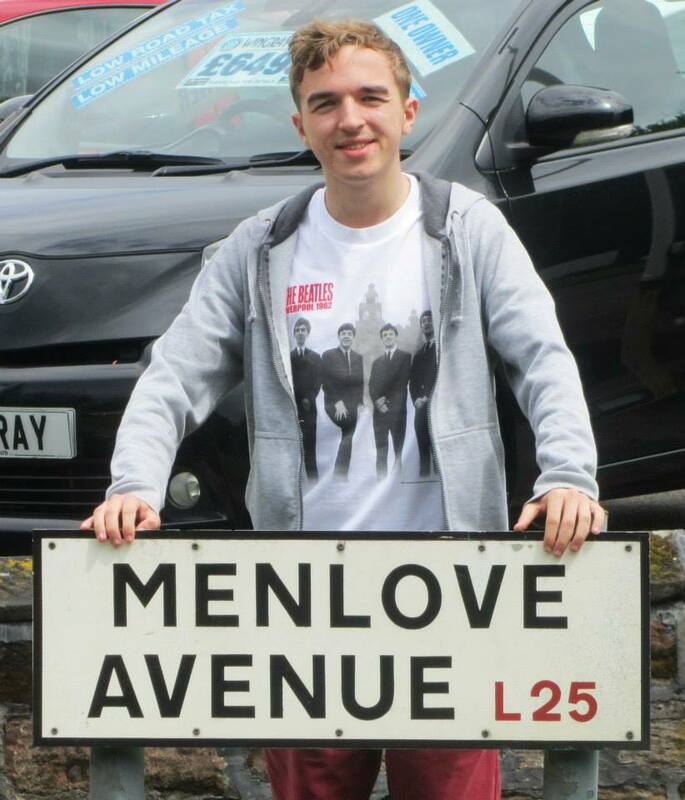 Ryan, it’s wonderful to know that a young person like you loves the Beatles. 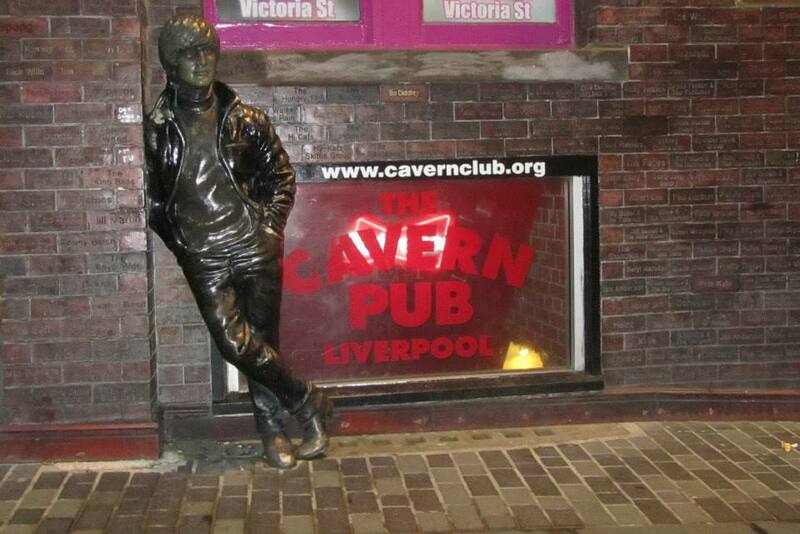 I am an old Cavernite from the 60’s, seeing the Beatles perform many times. 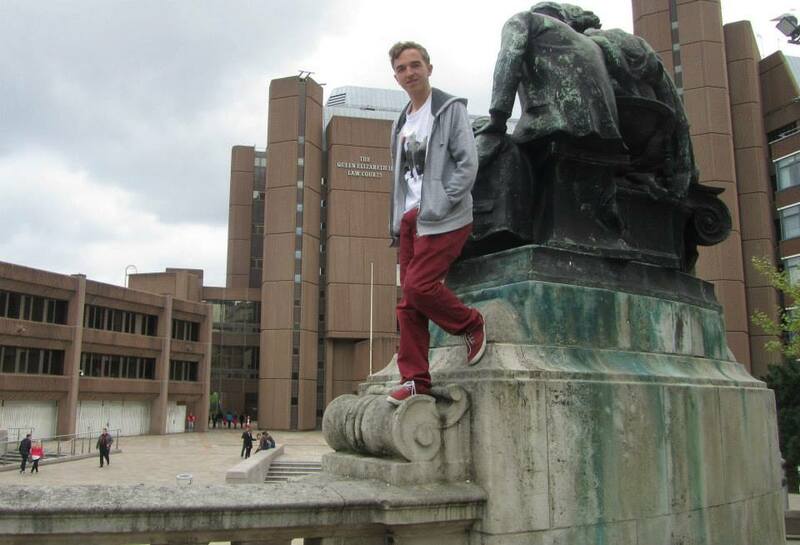 Please note though that there is only one Liver Building! 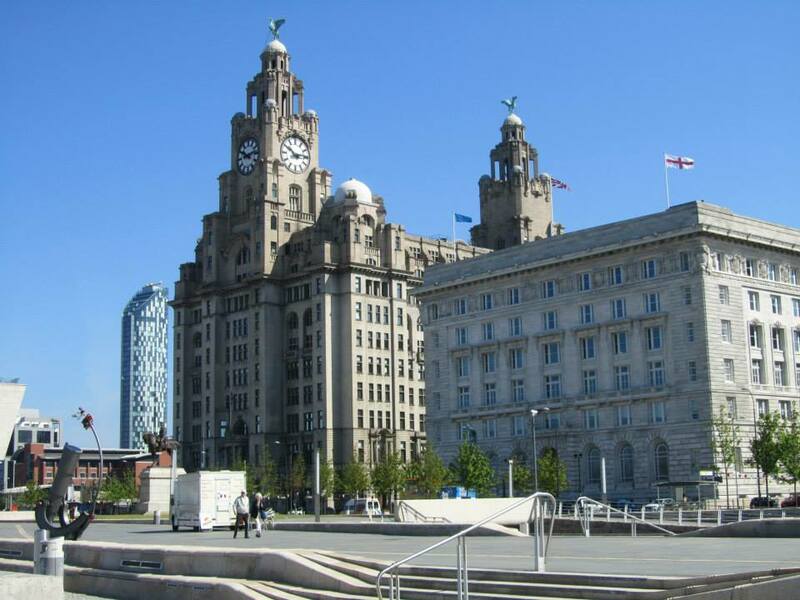 – the other two buildings are the Cunard Building and the Port of Liverpool Building. 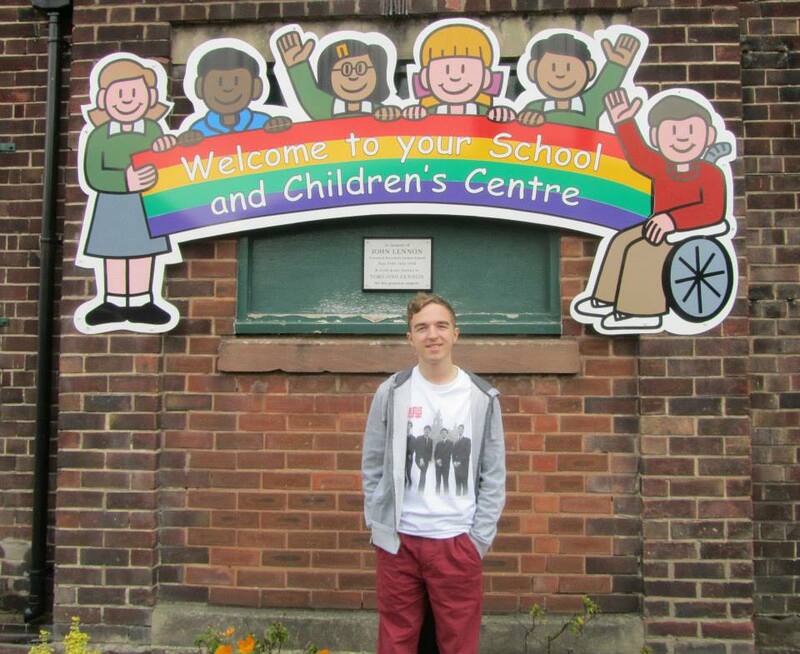 Well done young man for your web site, just read every word of it. 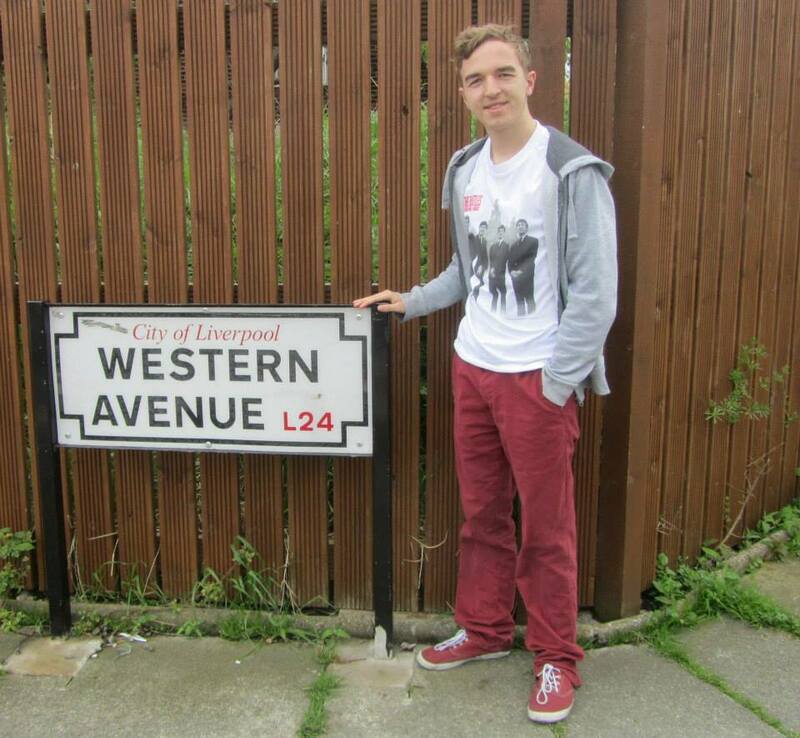 I first saw the Beatles in 1962 when I was 16 and became a massive fan. 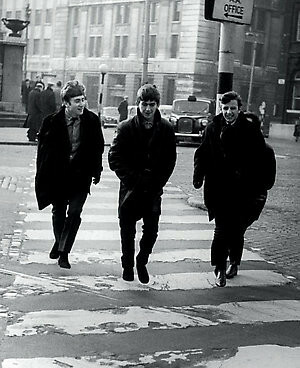 I saw them 17 times in all during the early 60’s and went to an after gig party in 1963 collecting their autographs.